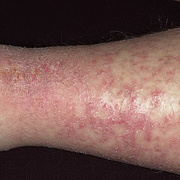 There are actually two types of weeping eczema: primary and secondary. 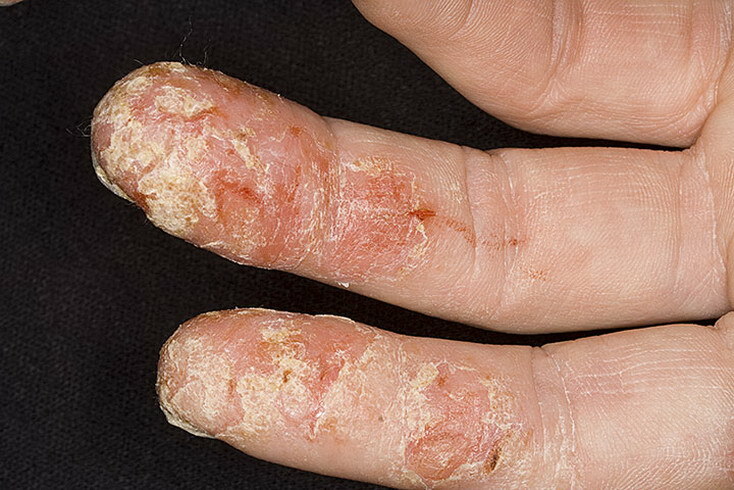 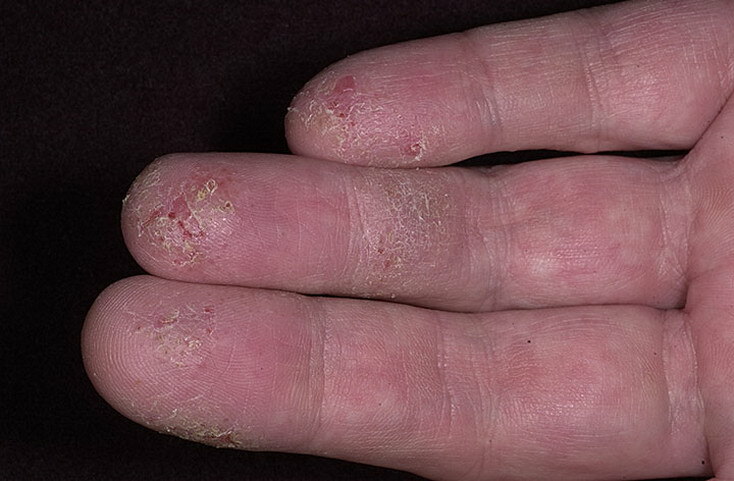 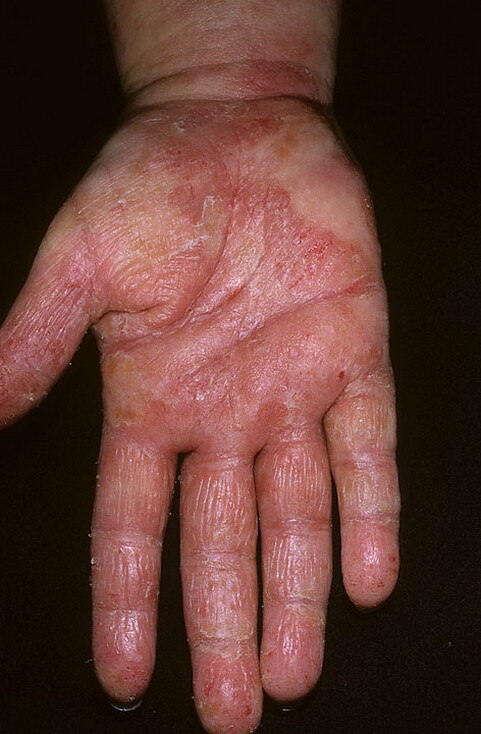 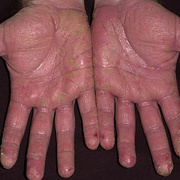 Primary types refer to the blistering types of eczema, such as dysrodhitc eczema, nummular eczema or discoid eczema. 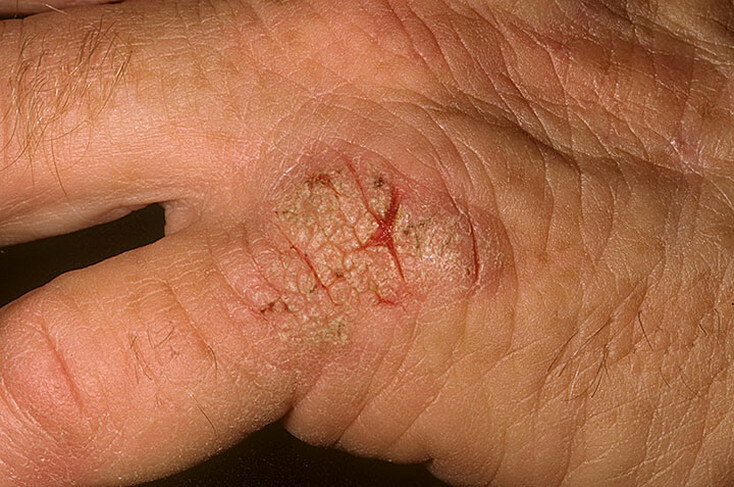 These can vary from just one or two blisters, or small crops of more than three. 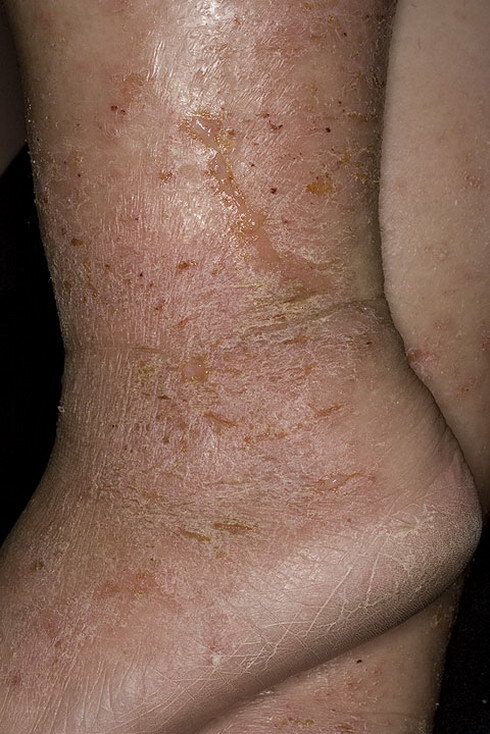 These look like blisters and contain a clear fluid. 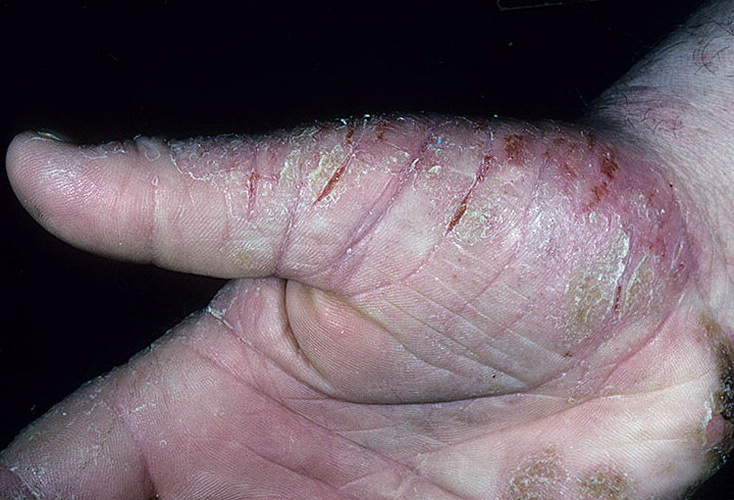 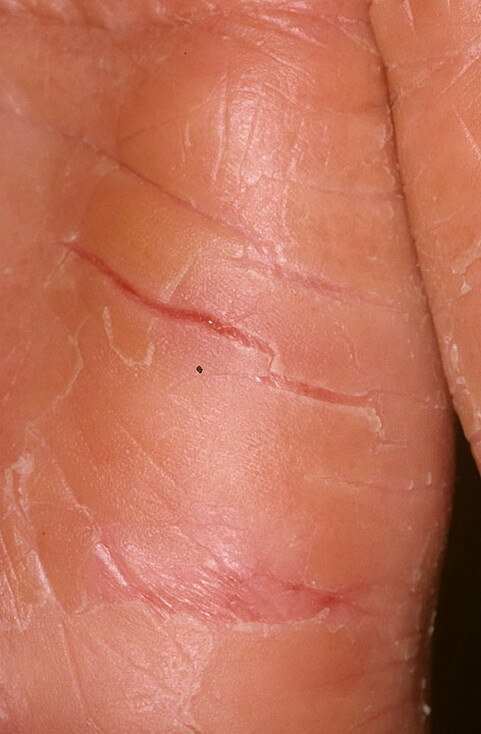 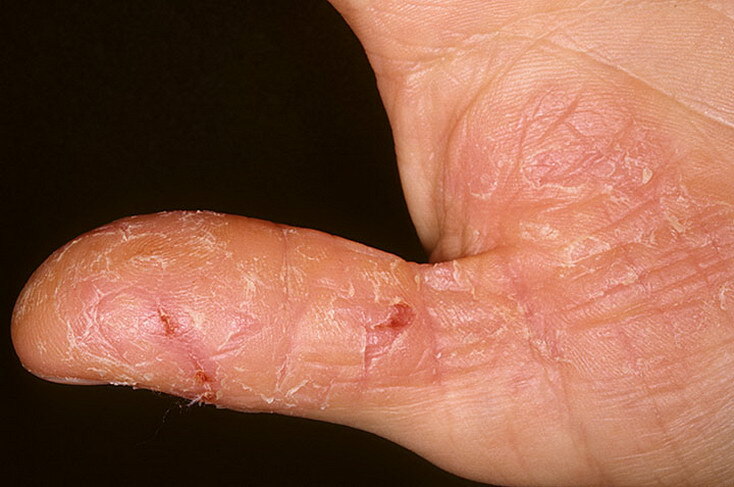 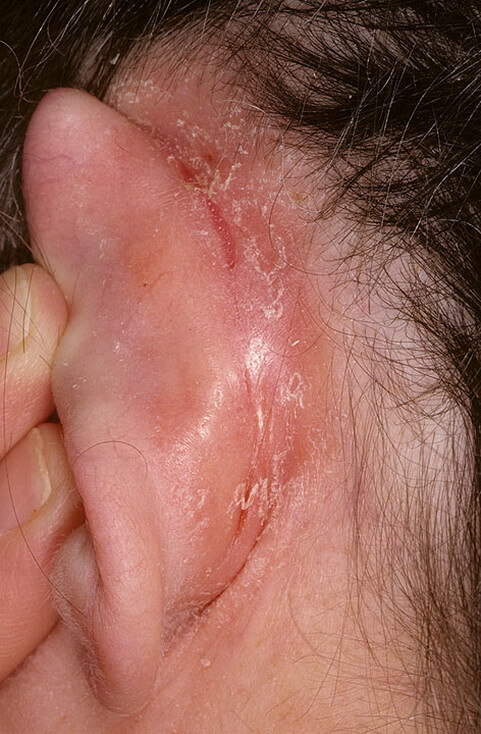 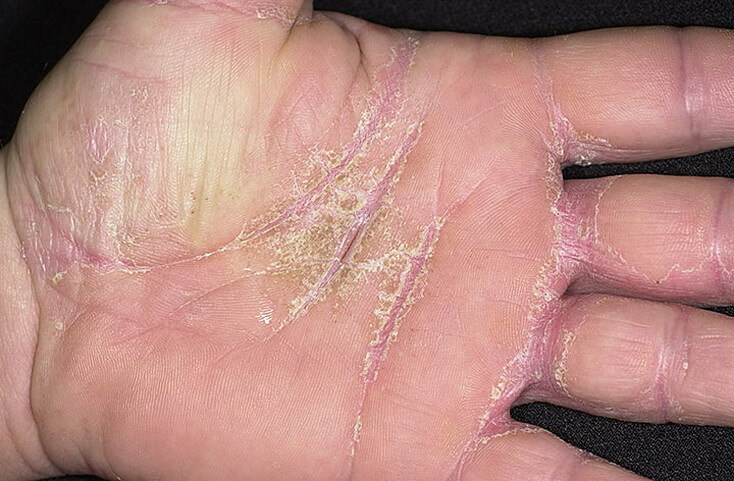 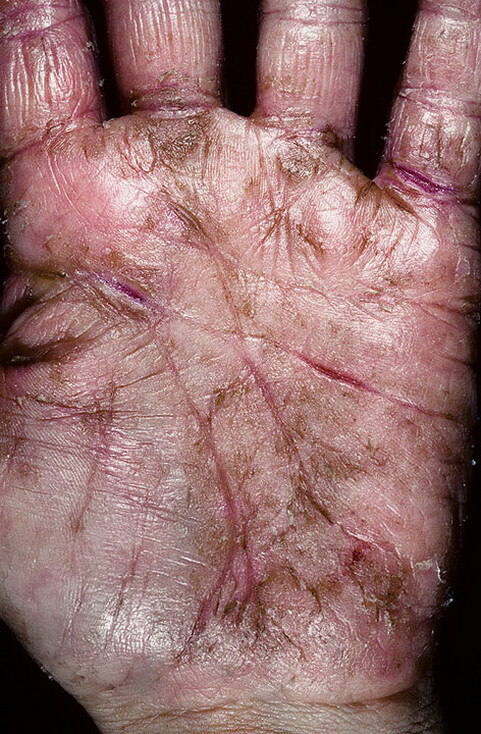 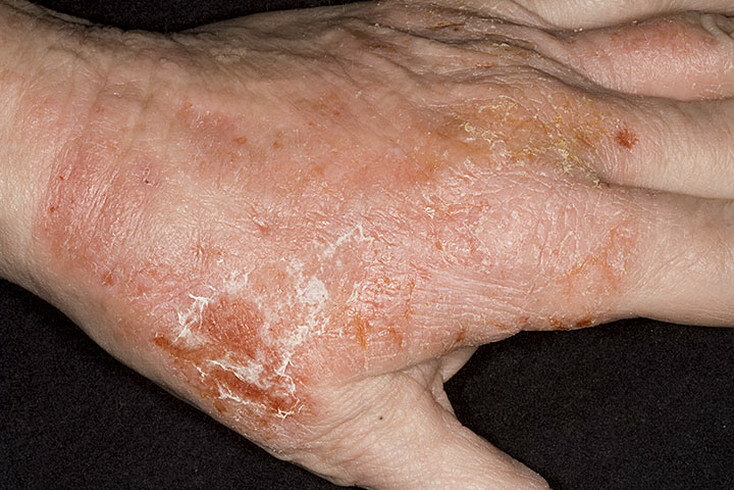 This fluid can leak through the skin’s epidermis if scratched, bumped, or picked at (very common to happen), which is where the primary term “weeping eczema” comes from. 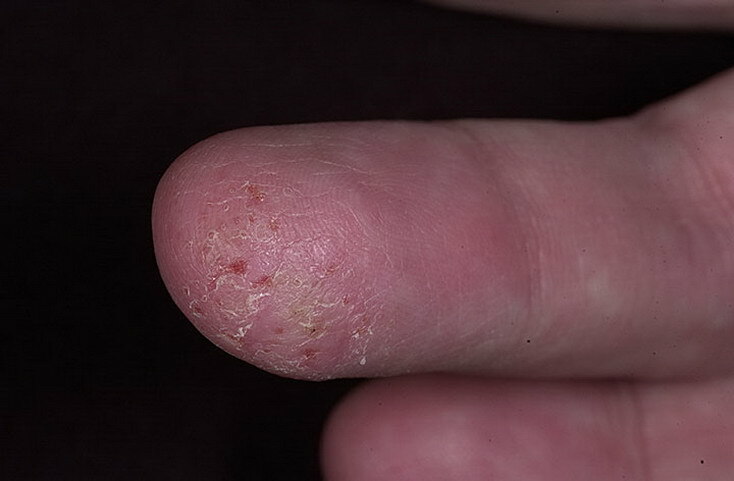 Secondary types refer to the weeping caused by a secondary problem, and is often confused with primary types. 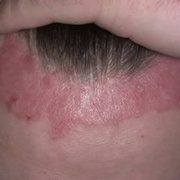 The biggest difference between the two is that secondary weeping eczema happens after your initial breakout, in response to outside bacteria or foreign items. 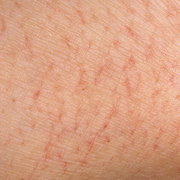 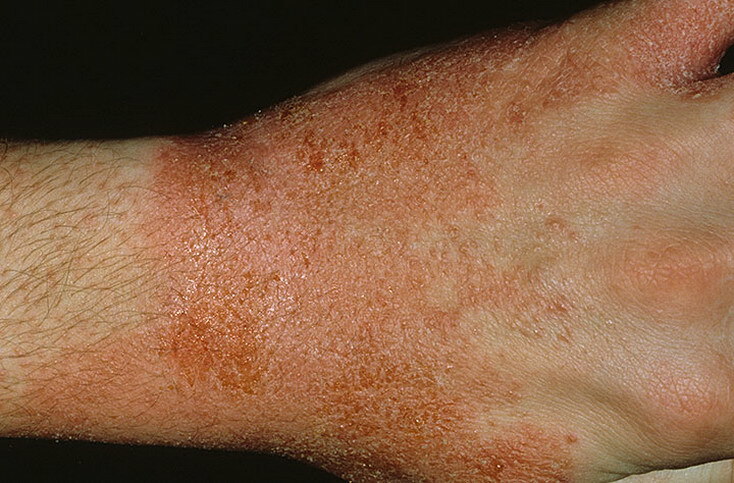 Secondary types can occur over large areas of the body, or over areas of previously dry eczema. 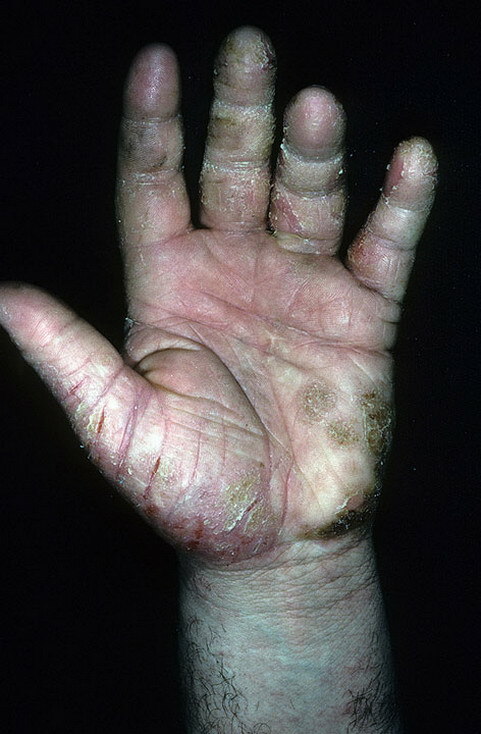 Secondary types contain milky or yellow fluid. 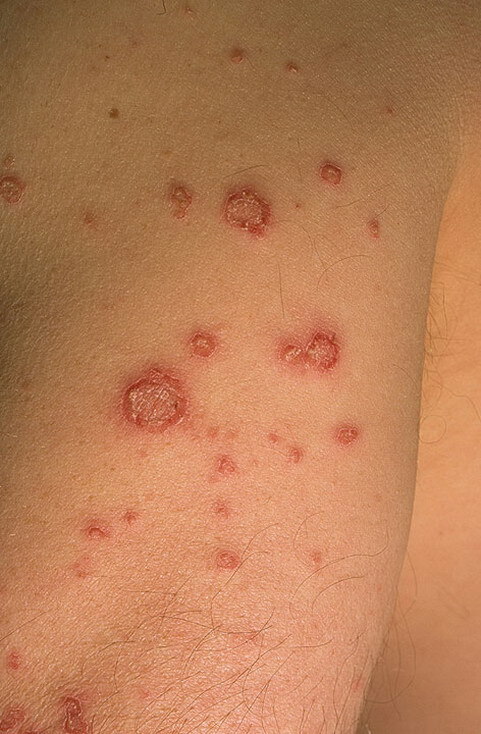 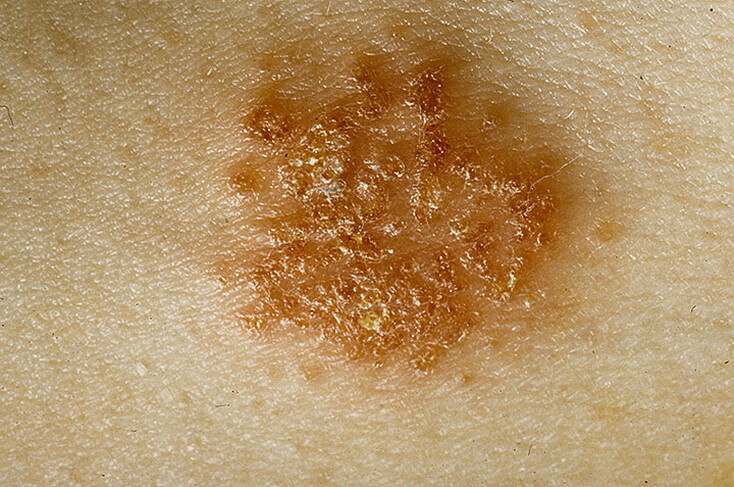 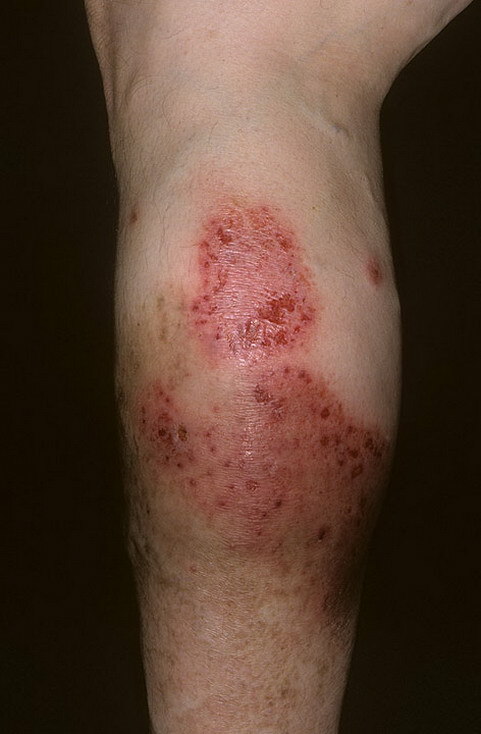 On your skin there lives a thriving community of bacteria, called Staphylococcus Aureus (or Staph A.) 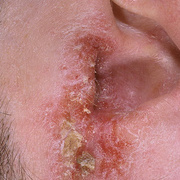 These are located in heavy concentrations around your nose, mouth, ears, privates, as well as just on your skin itself. 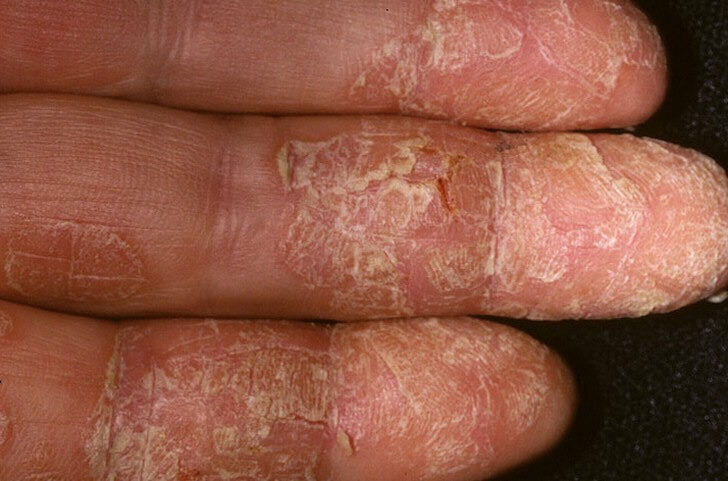 According to research, the biggest factor (if not the only factor) that causes weeping on your skin, is due to these bacteria. 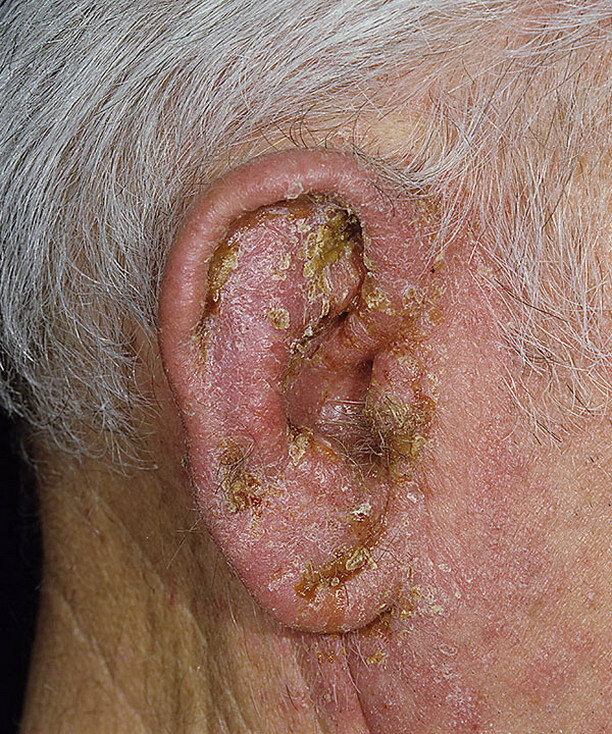 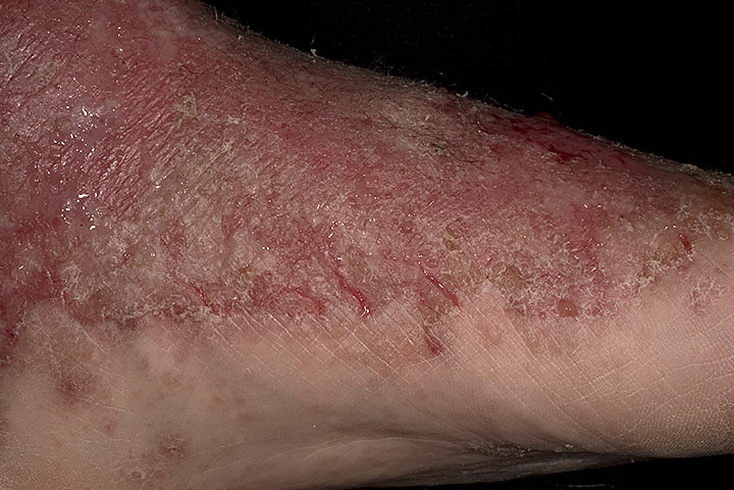 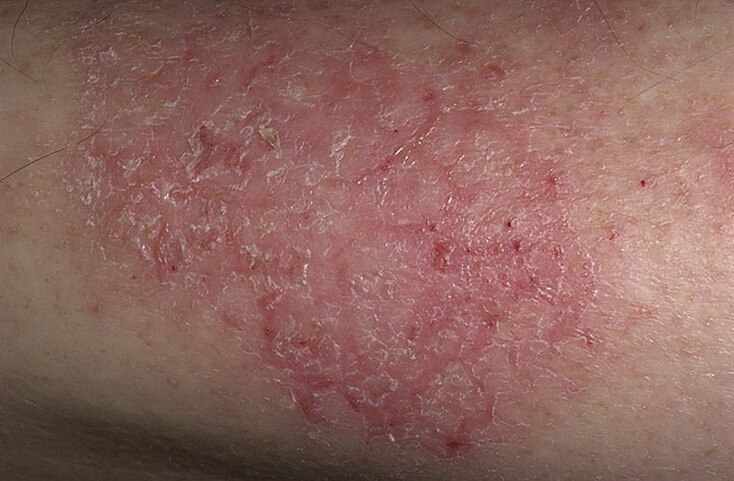 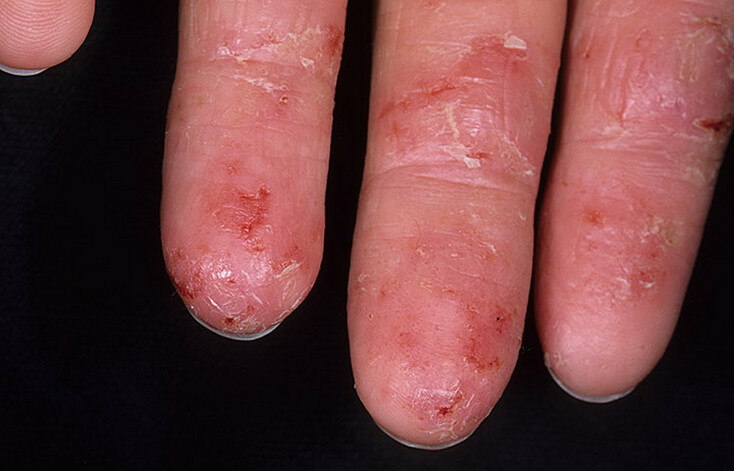 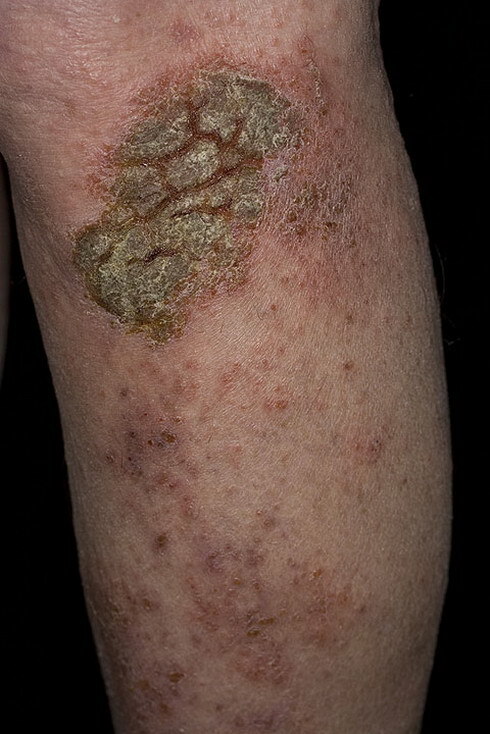 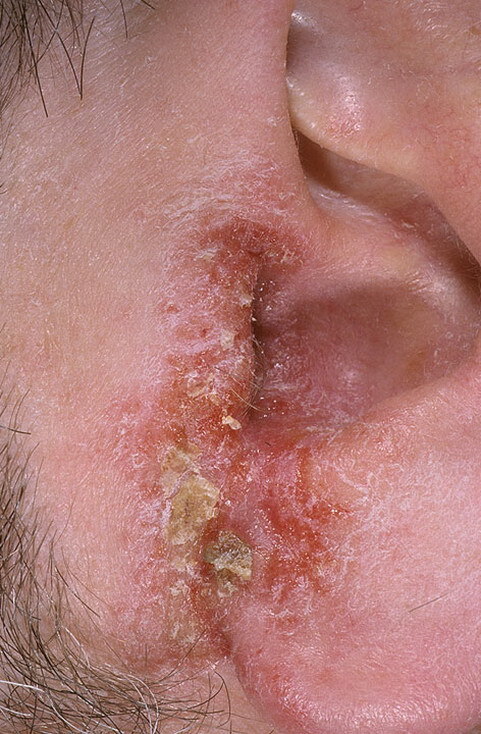 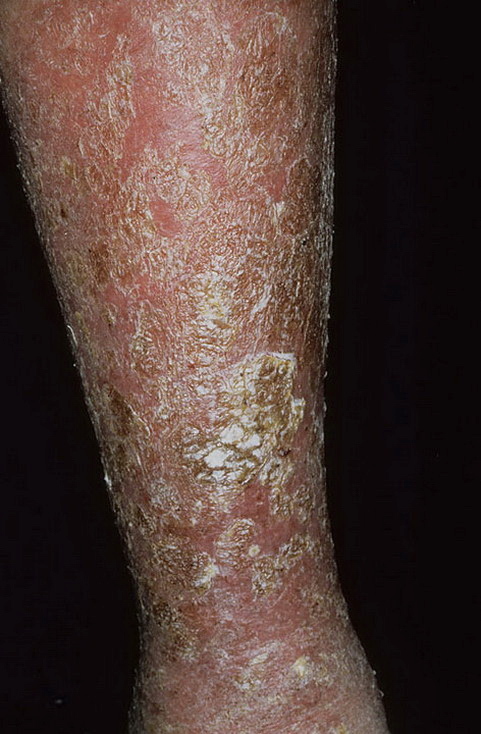 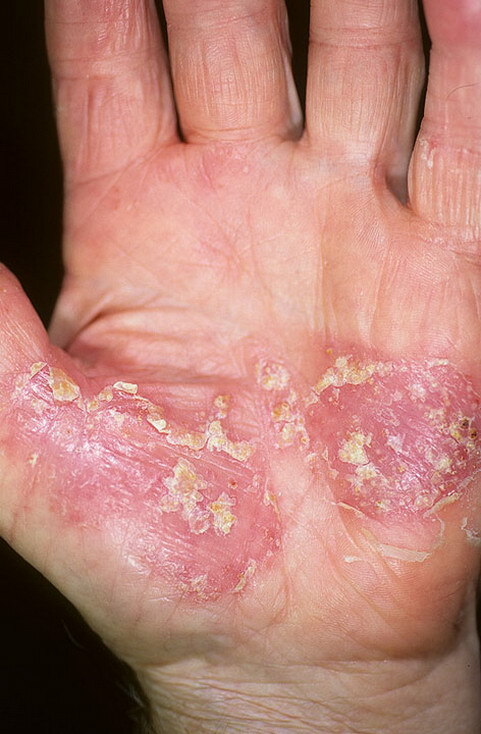 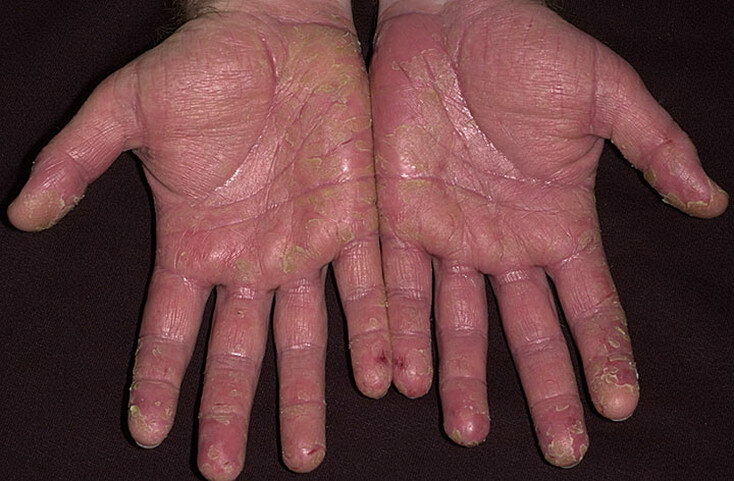 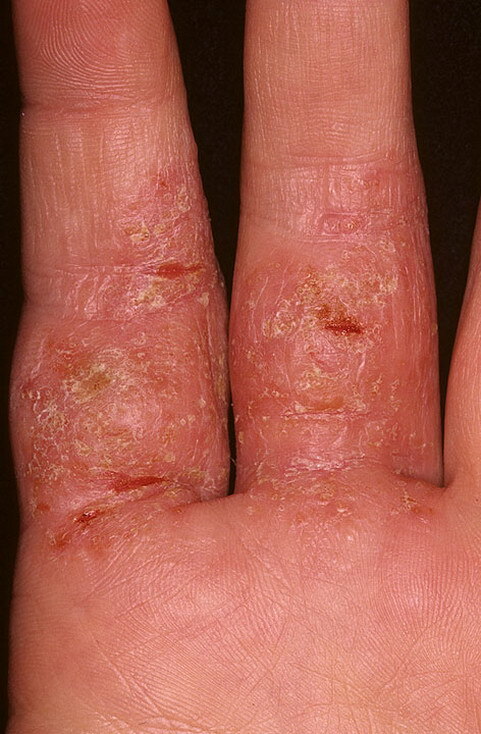 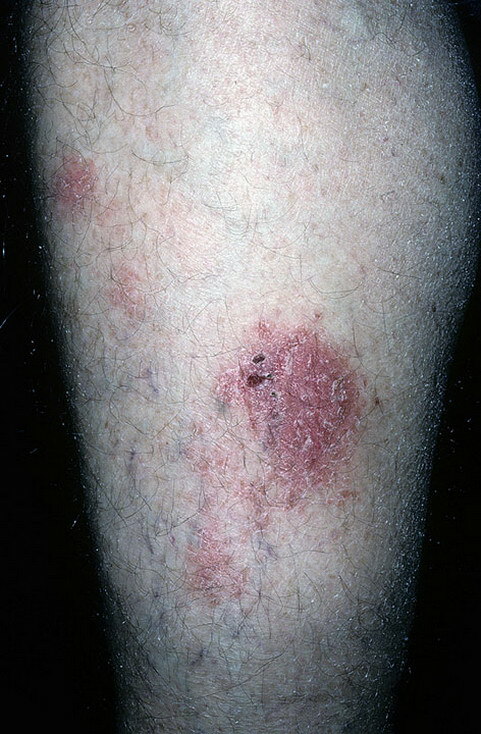 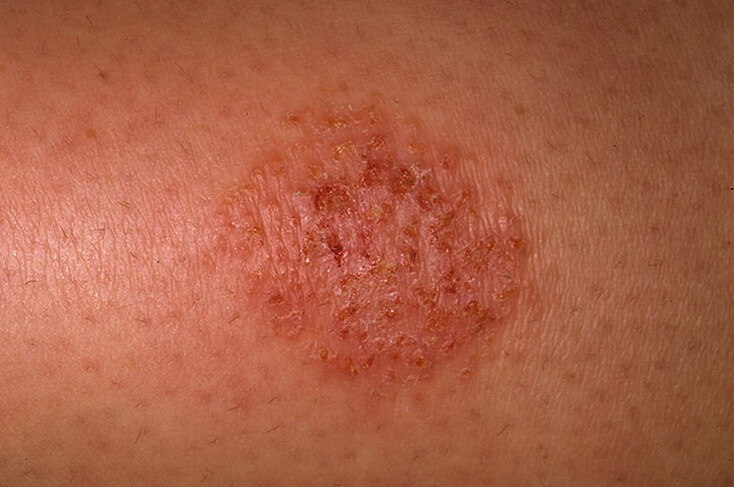 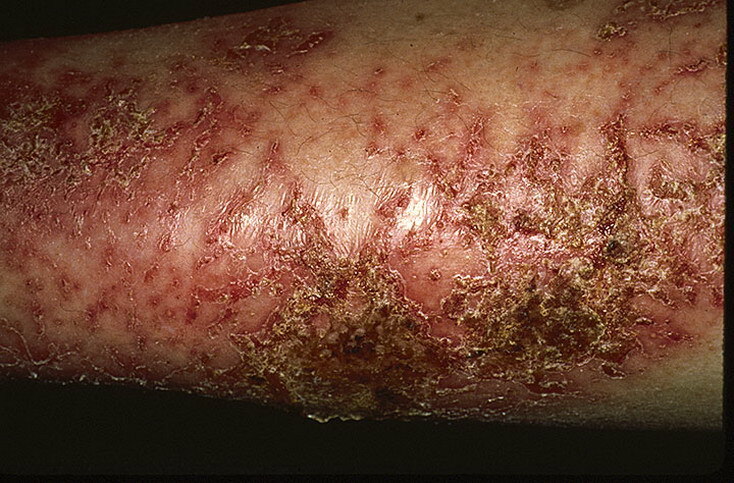 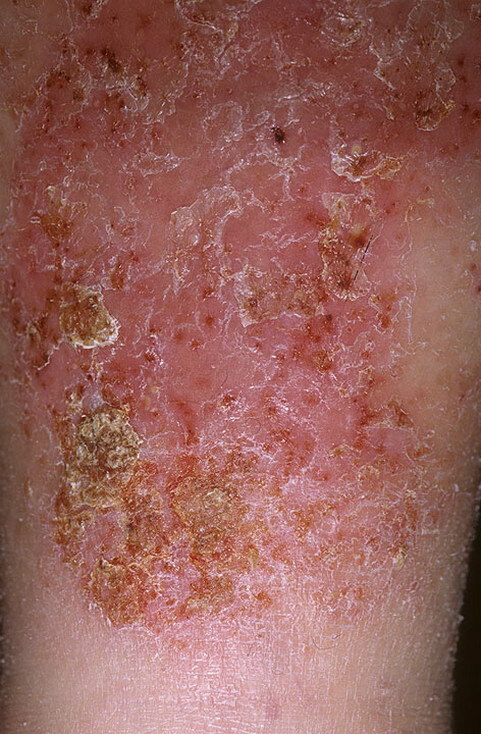 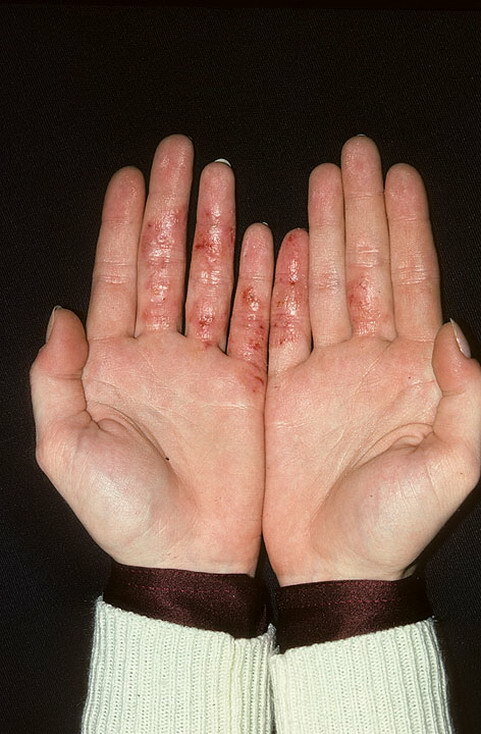 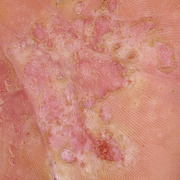 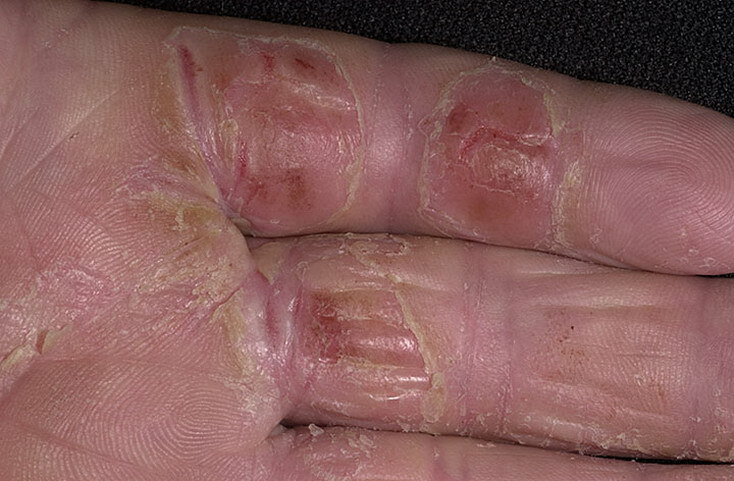 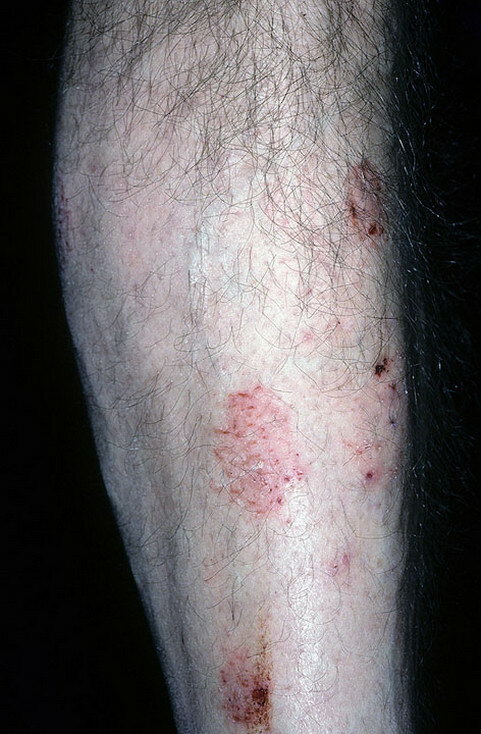 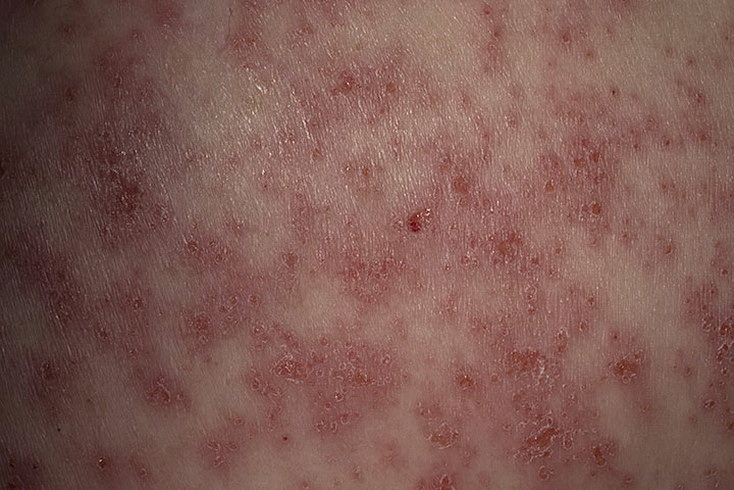 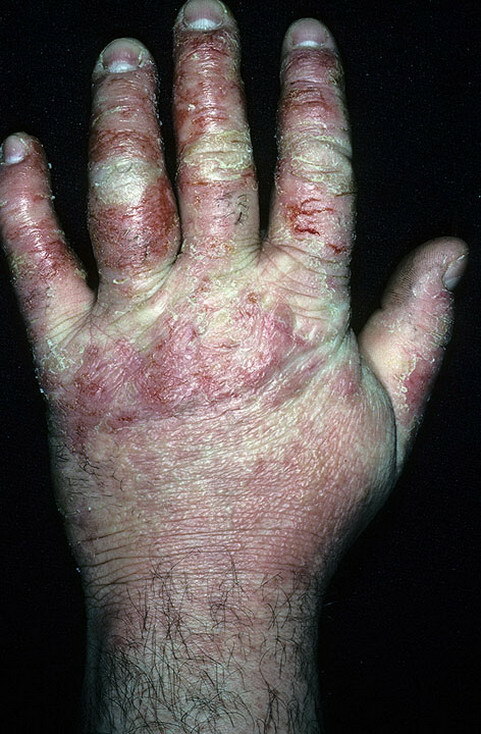 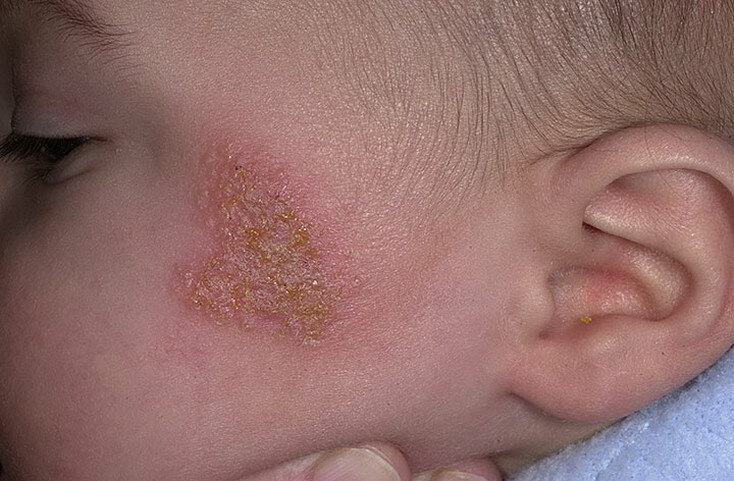 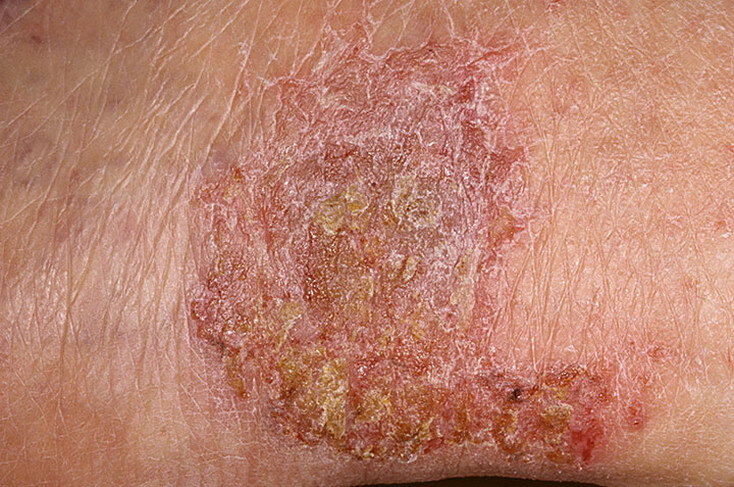 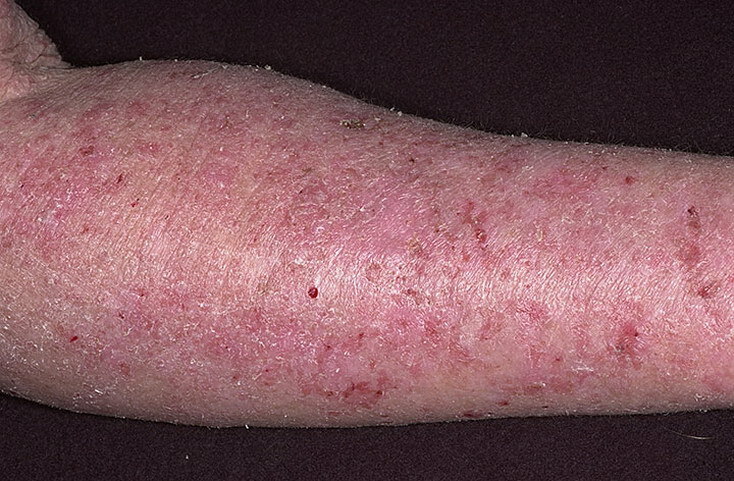 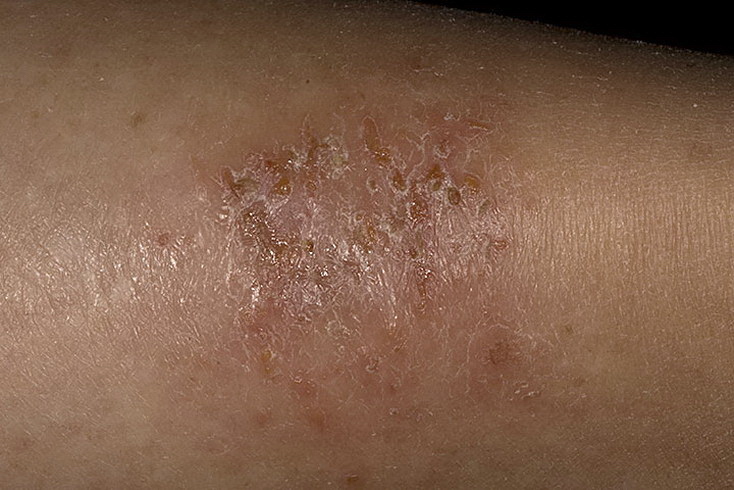 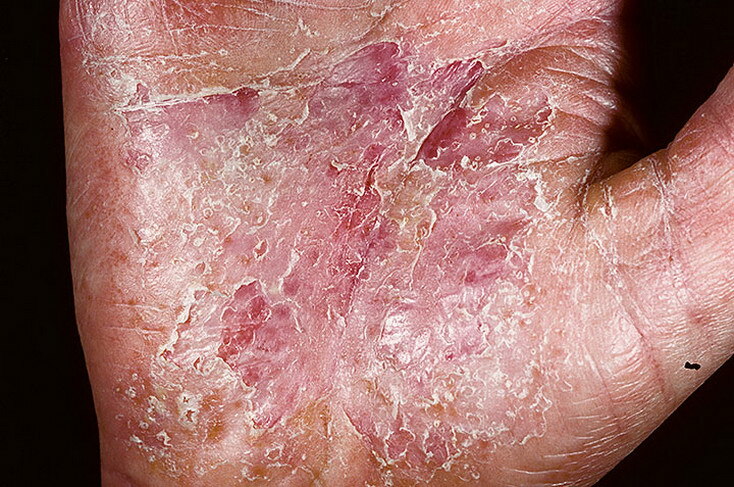 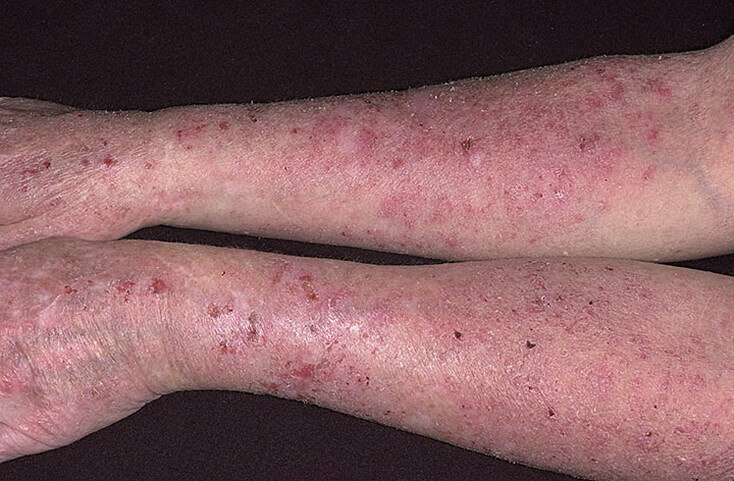 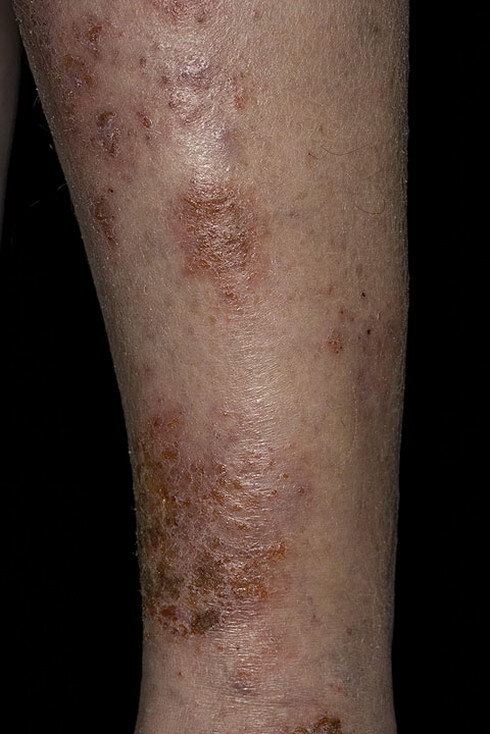 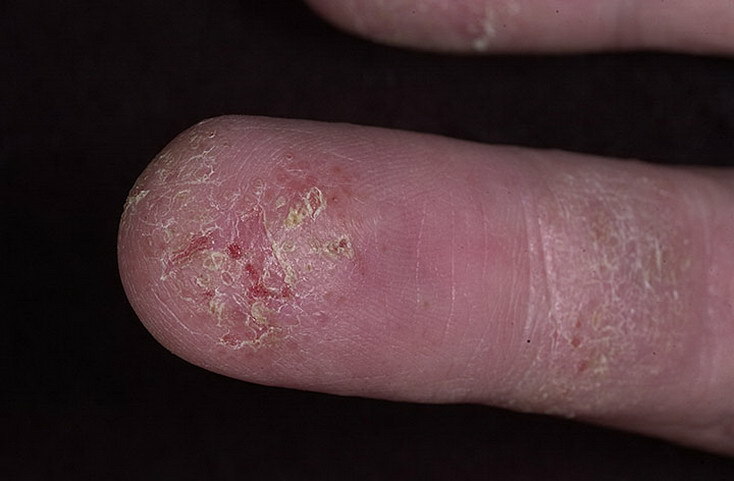 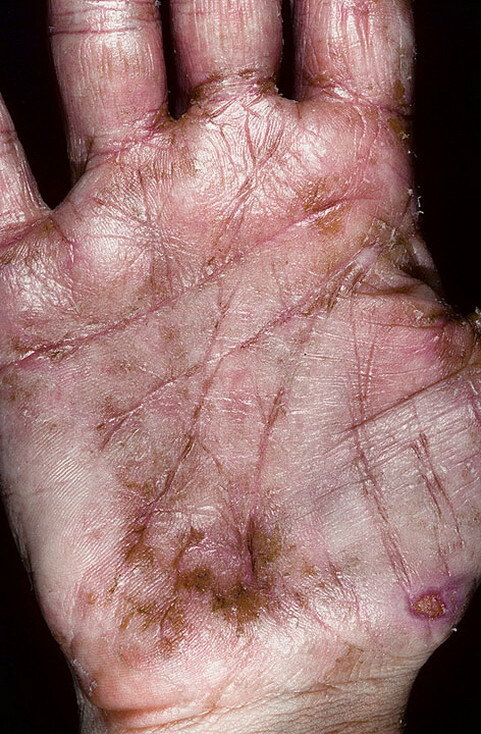 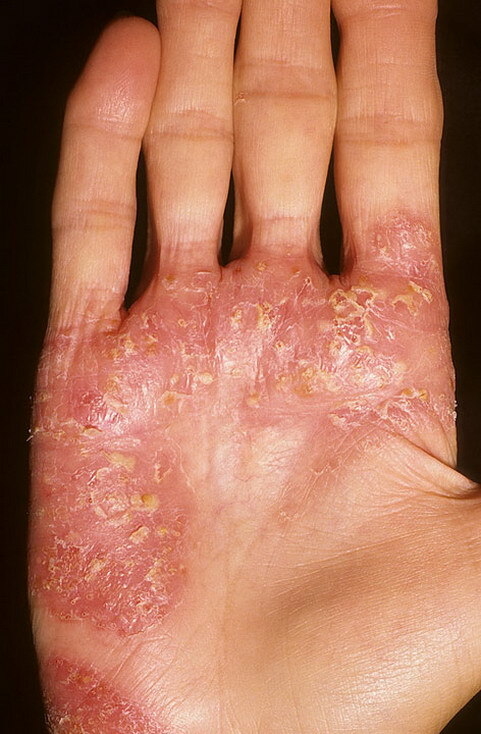 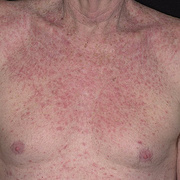 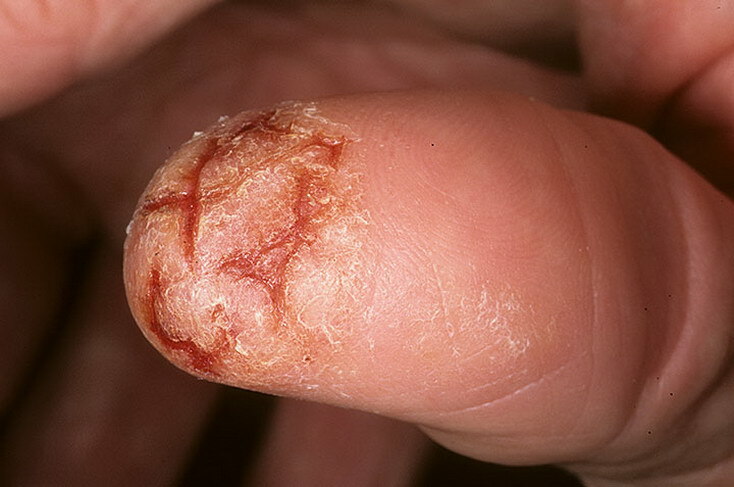 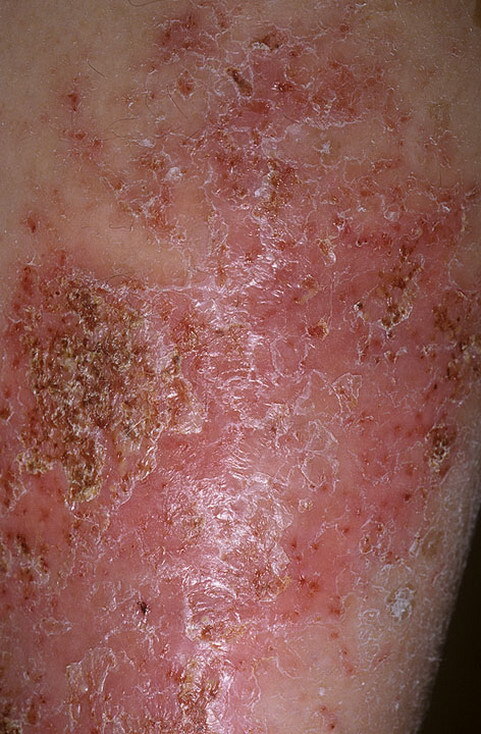 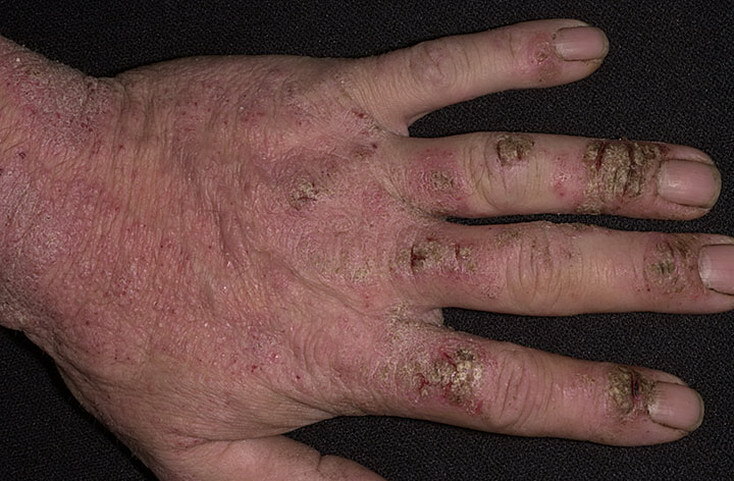 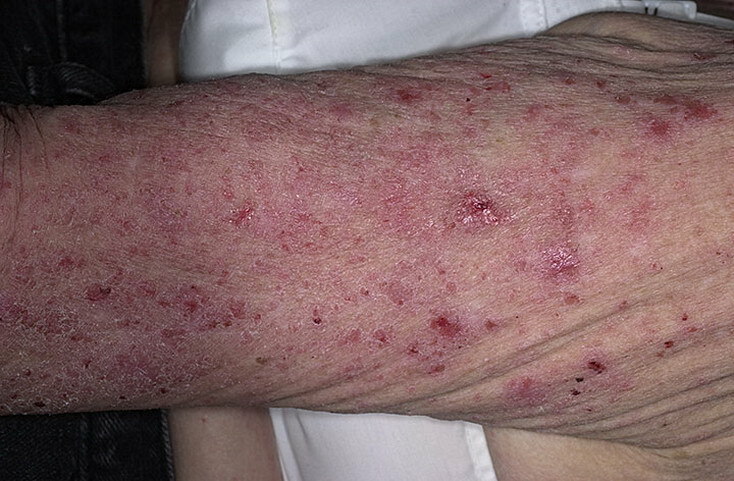 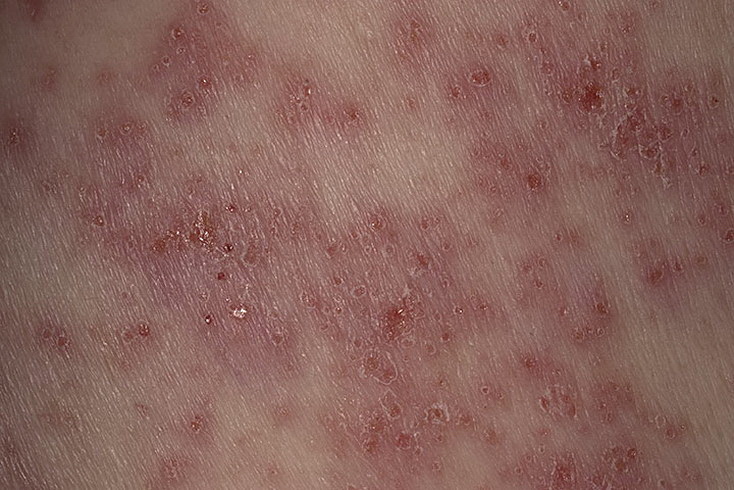 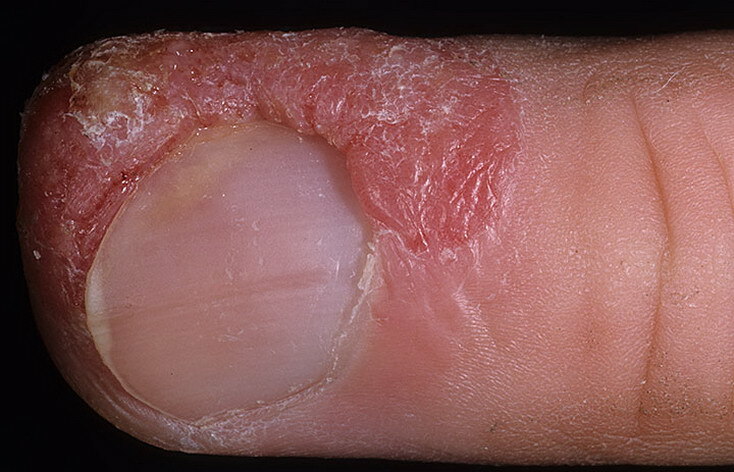 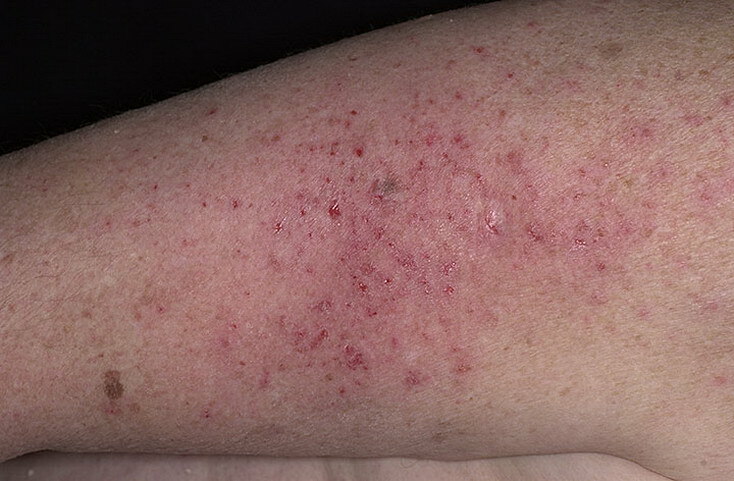 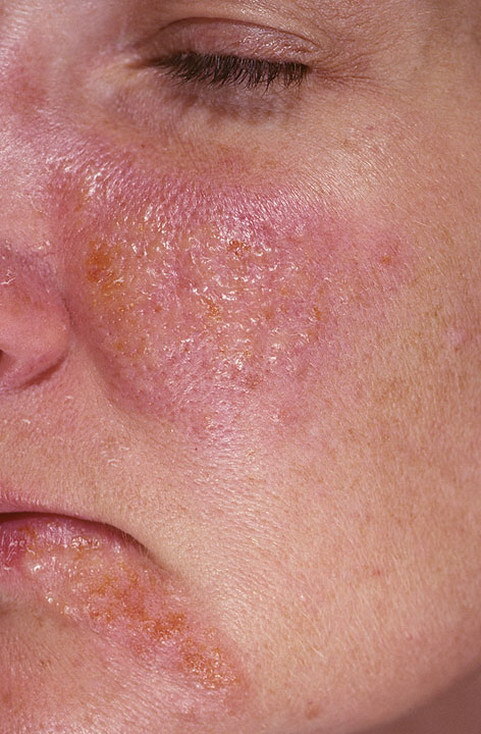 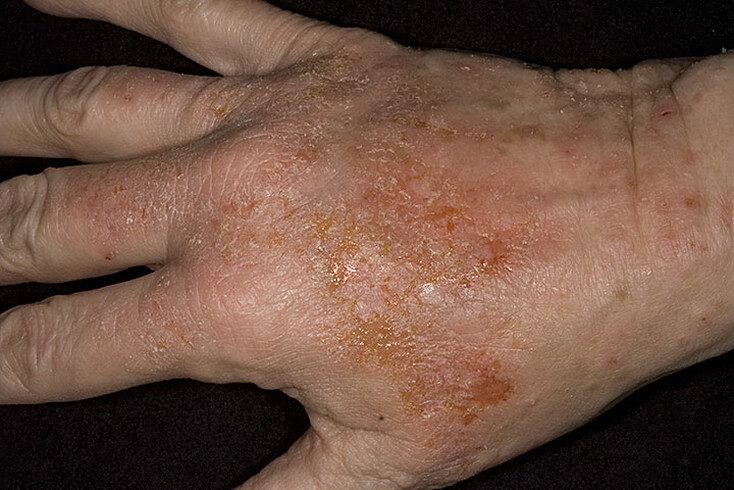 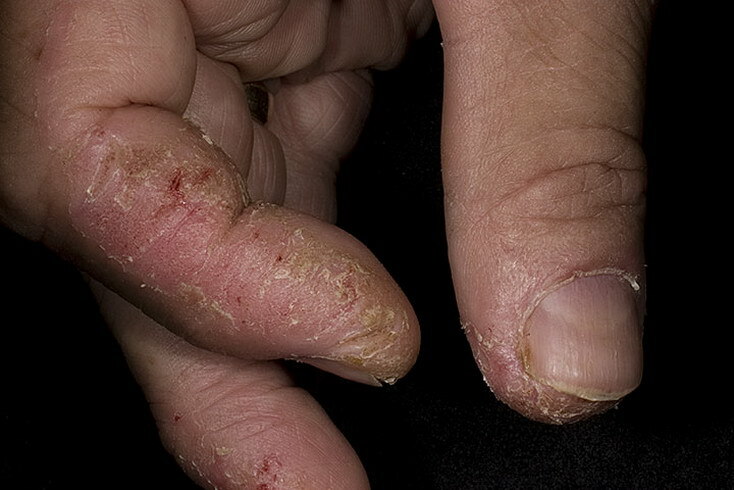 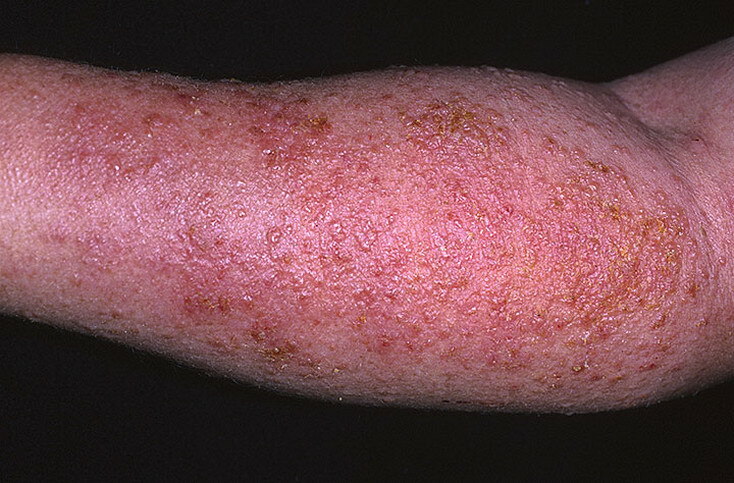 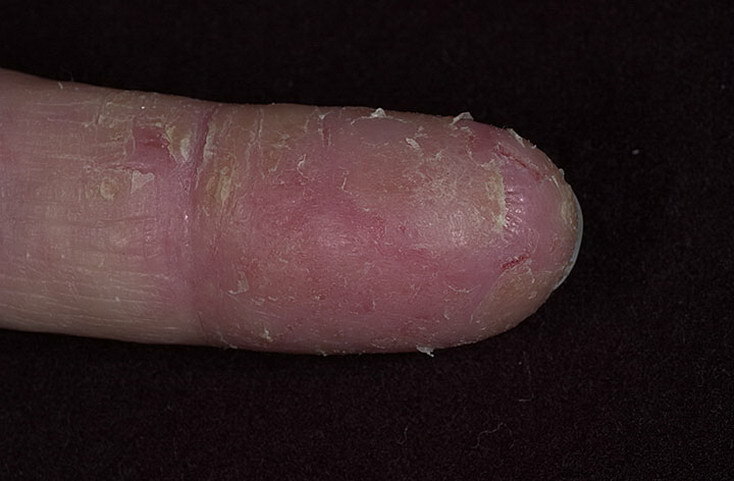 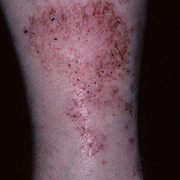 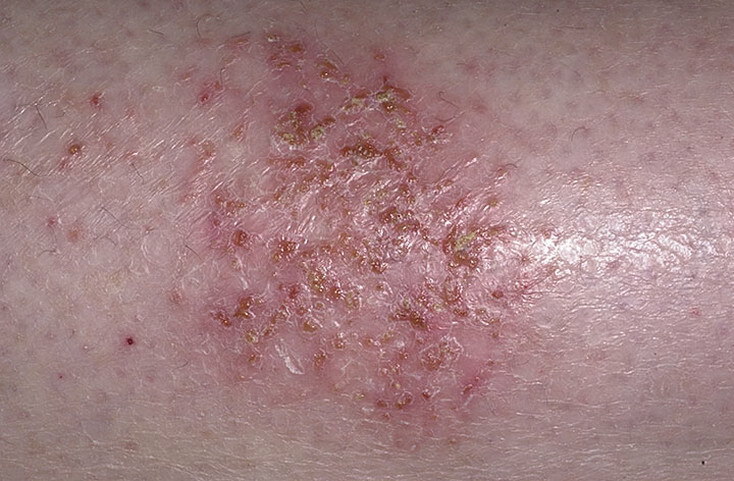 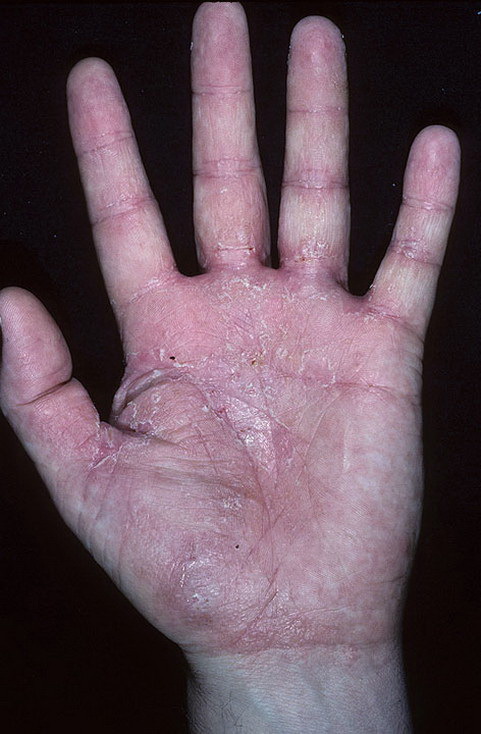 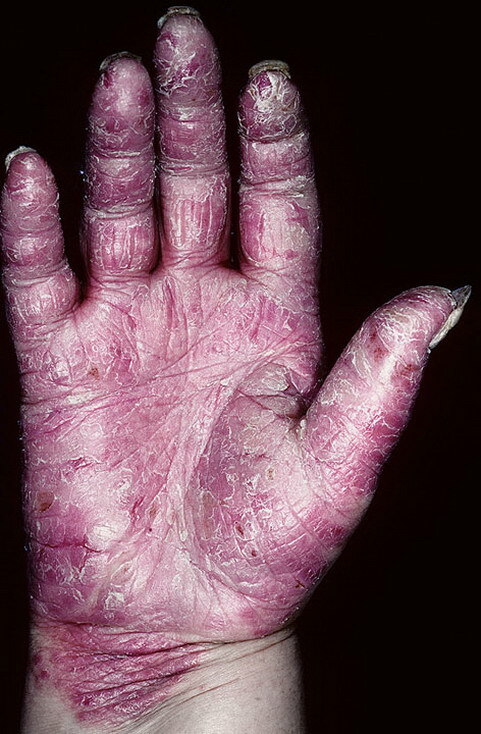 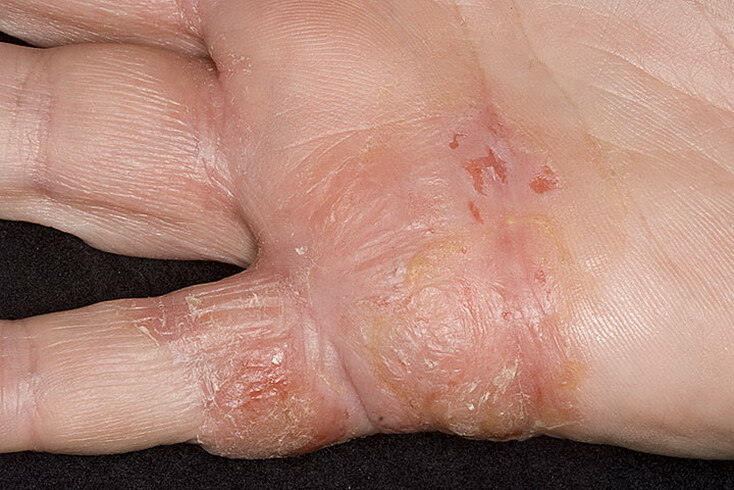 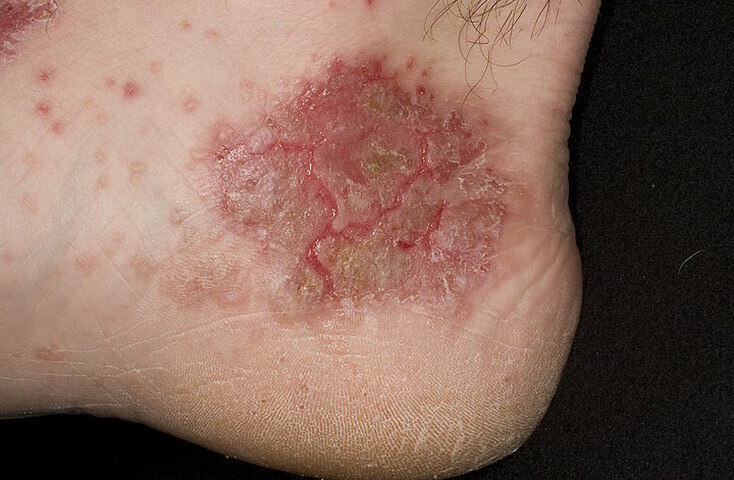 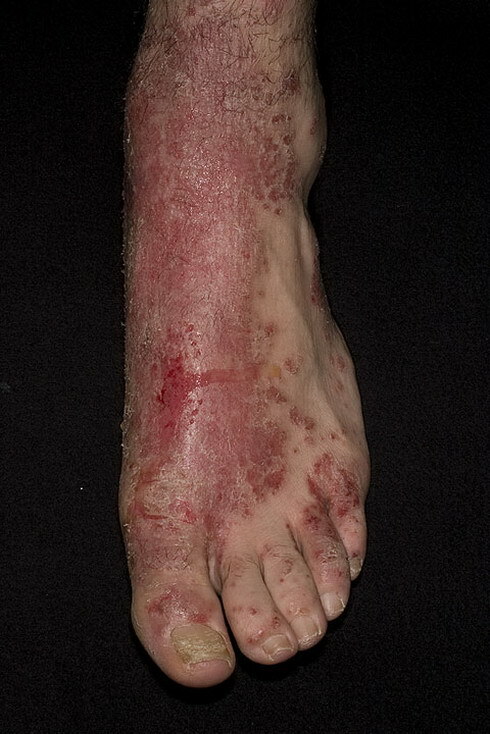 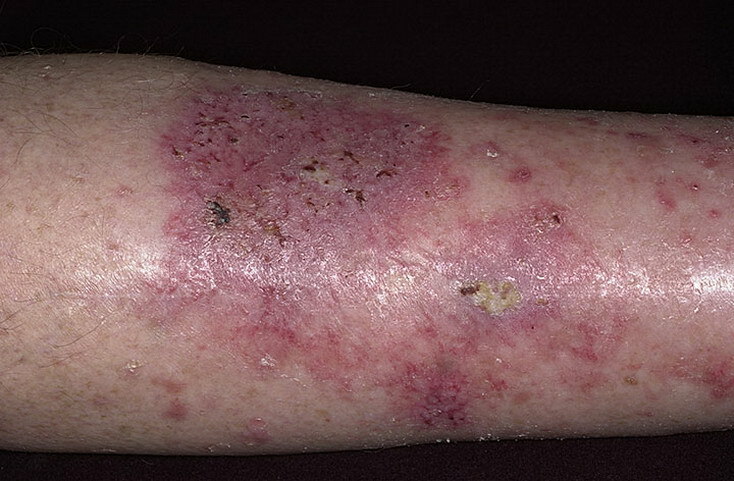 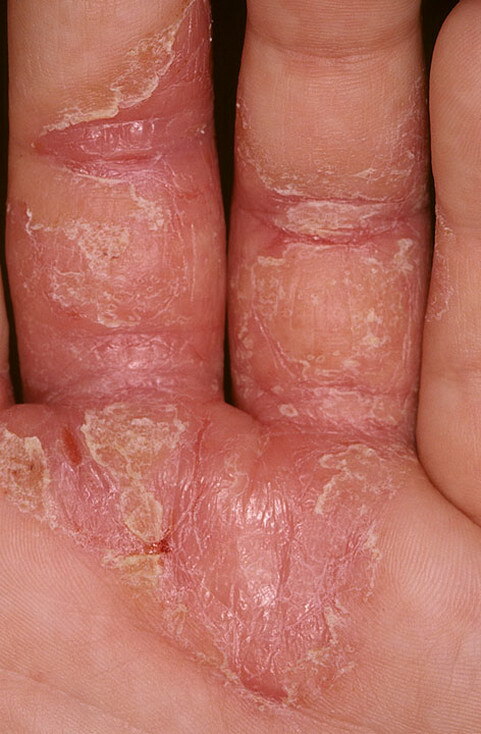 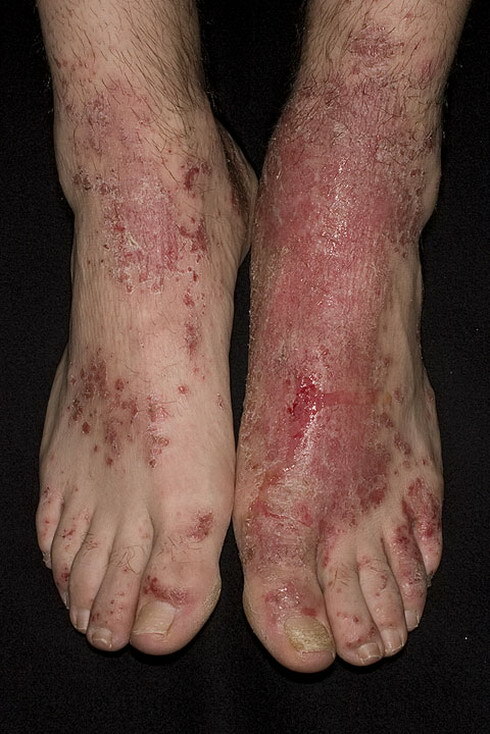 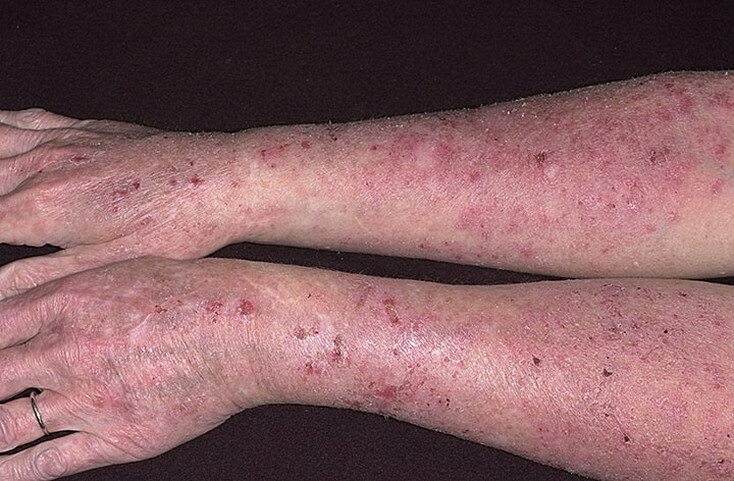 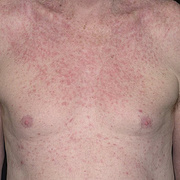 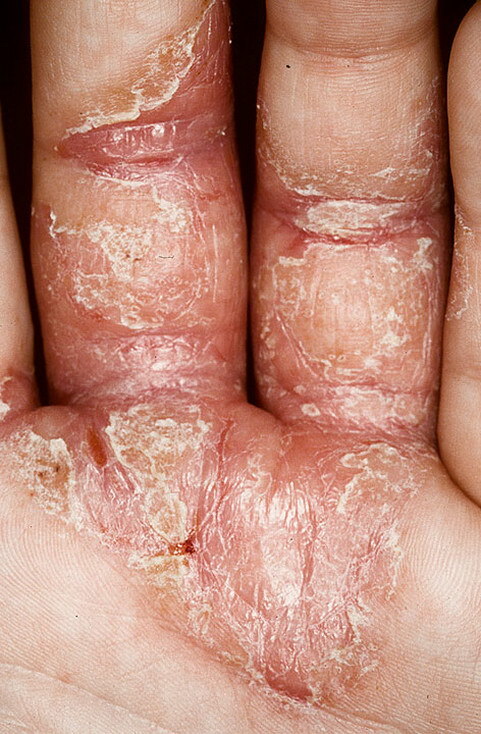 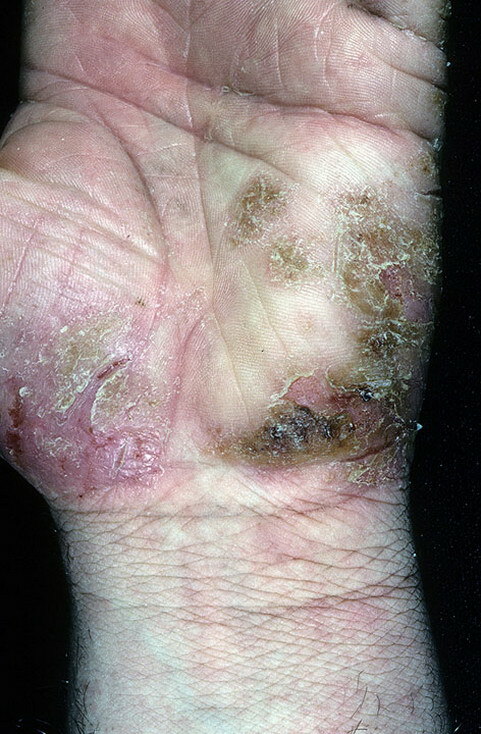 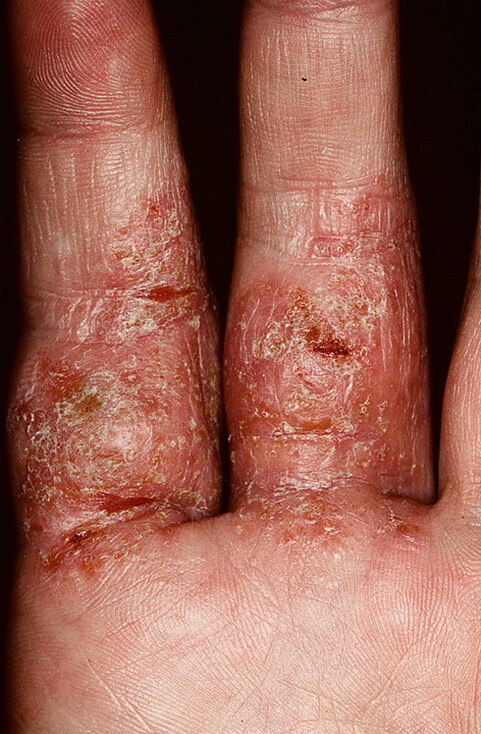 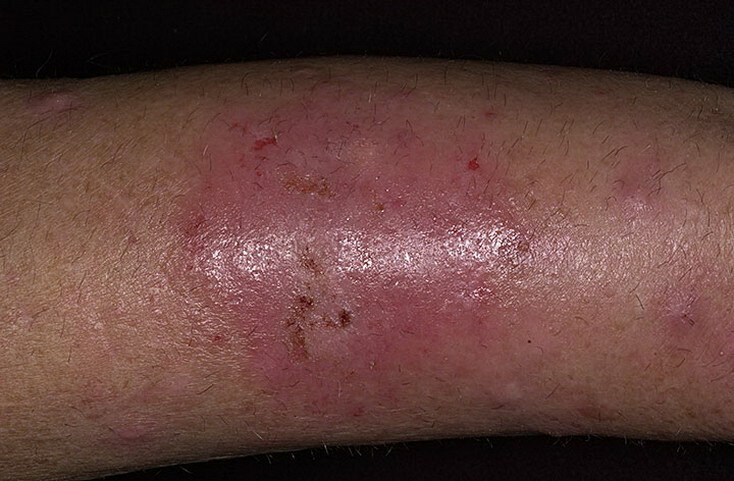 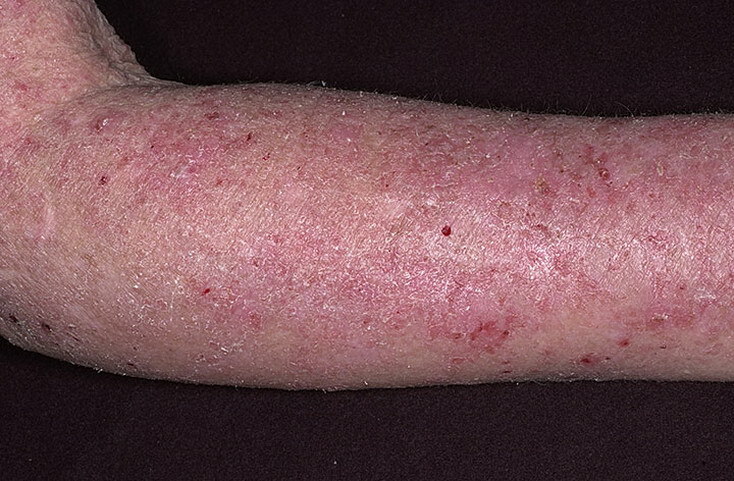 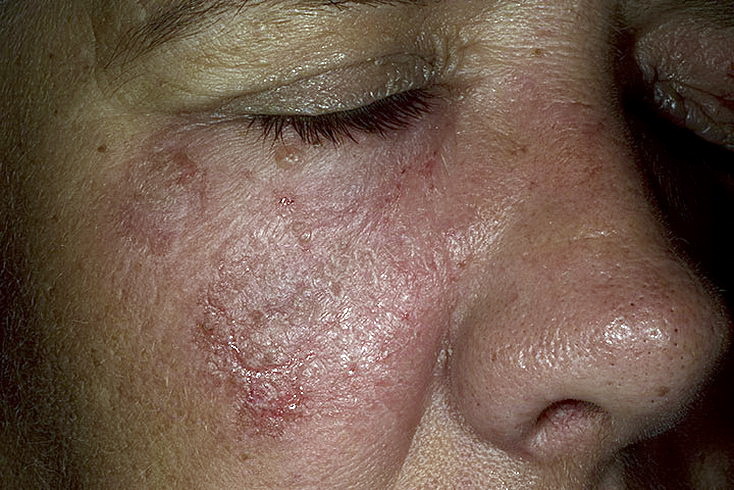 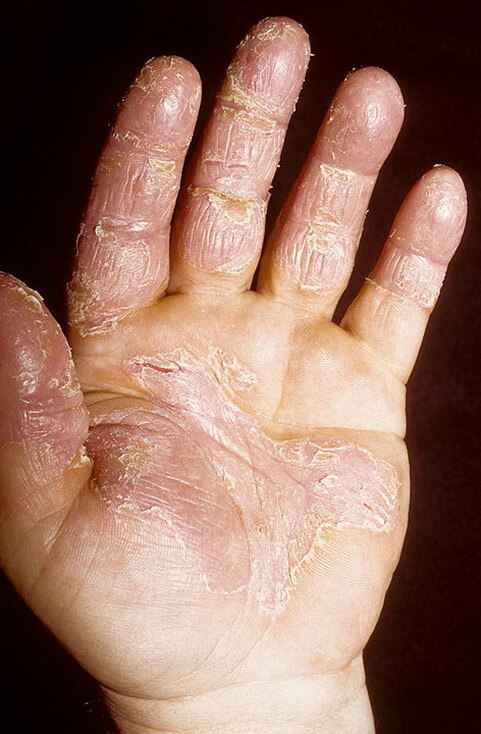 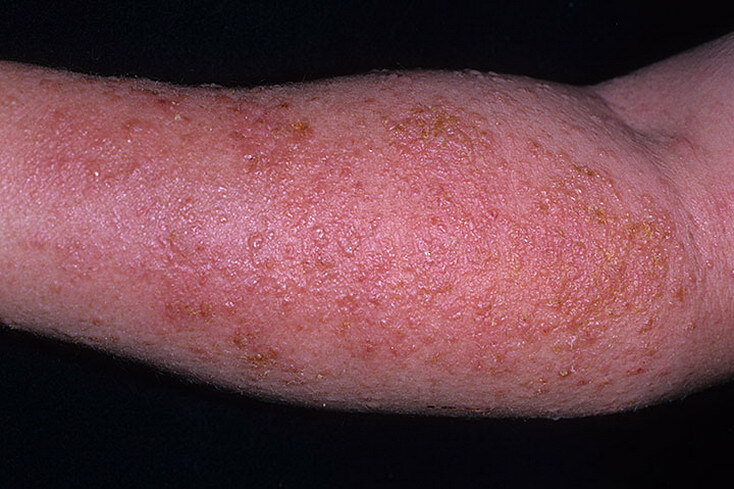 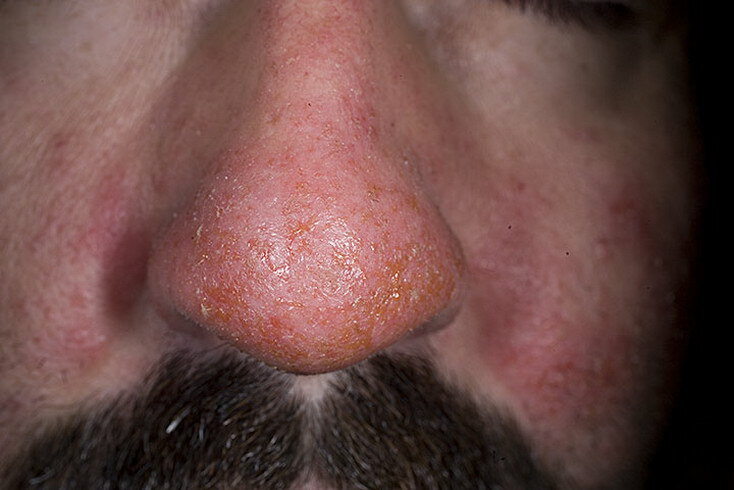 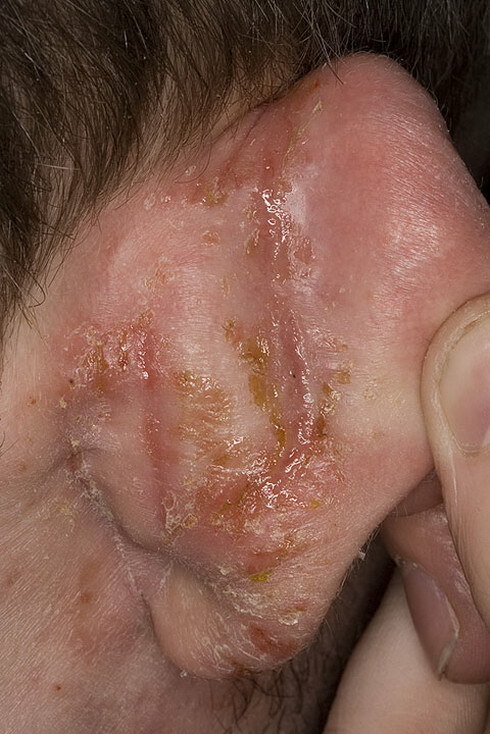 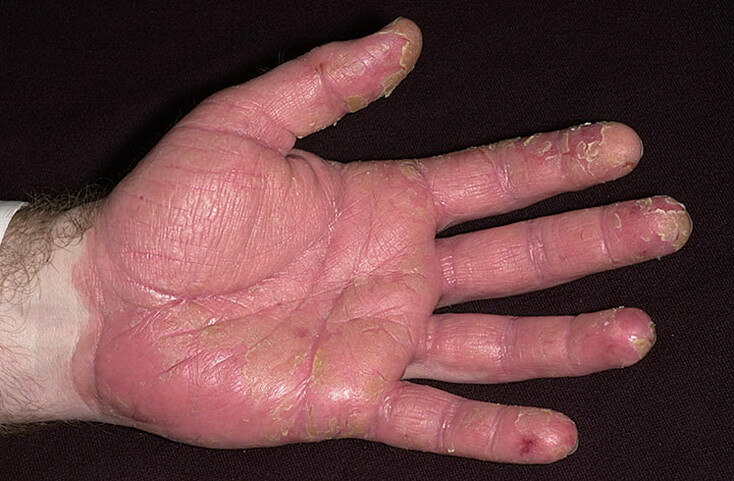 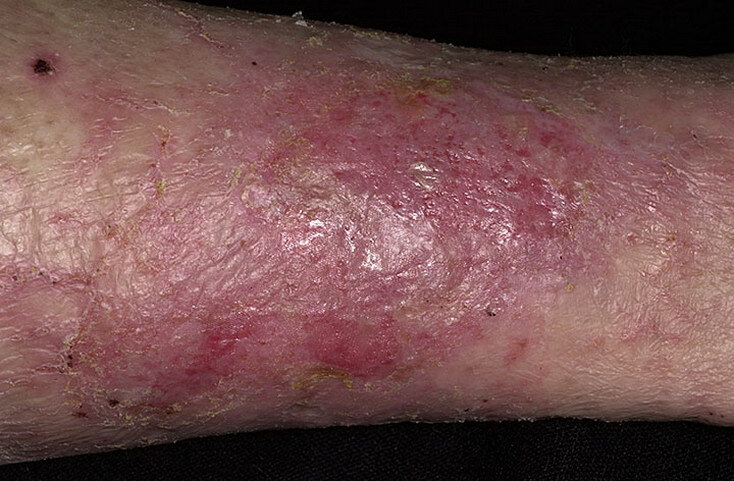 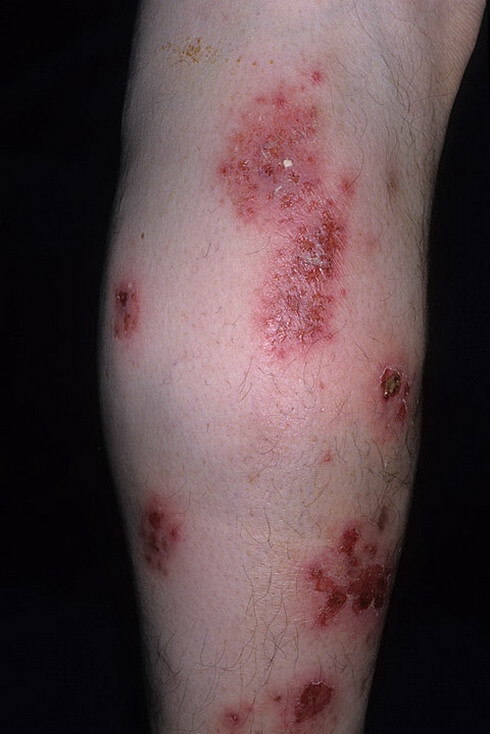 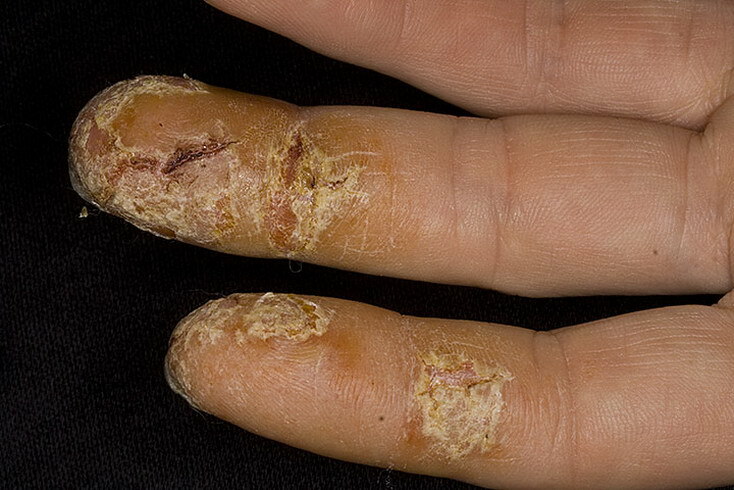 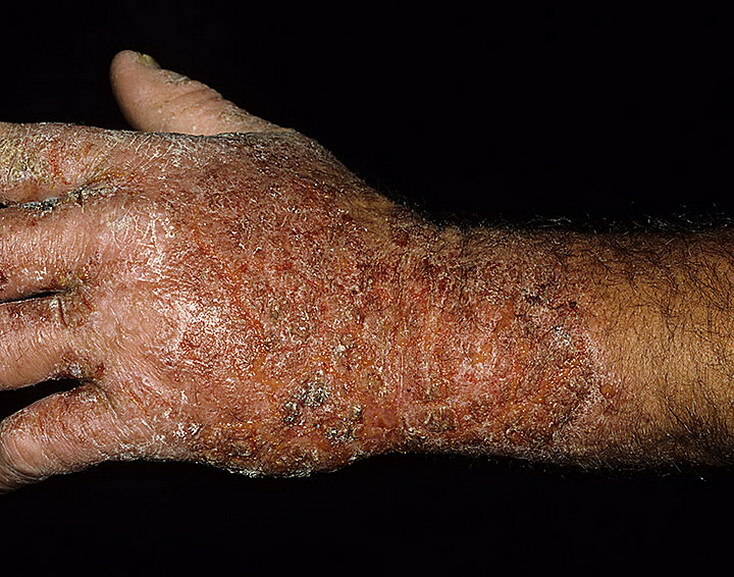 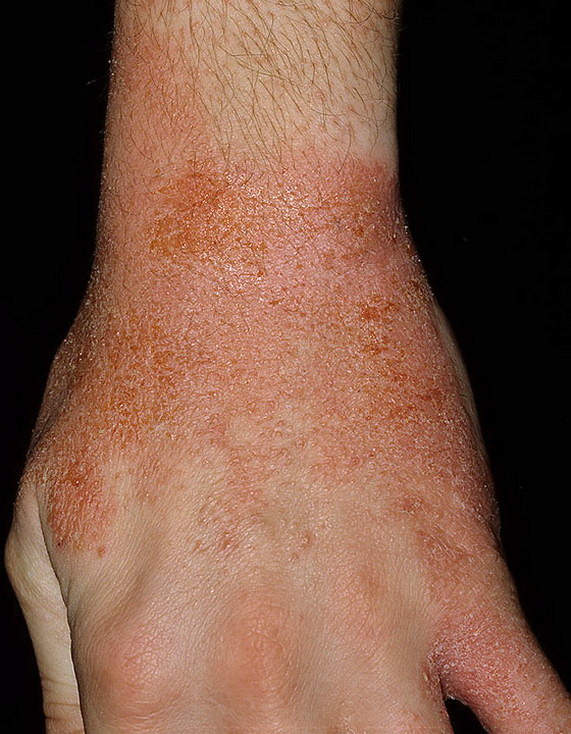 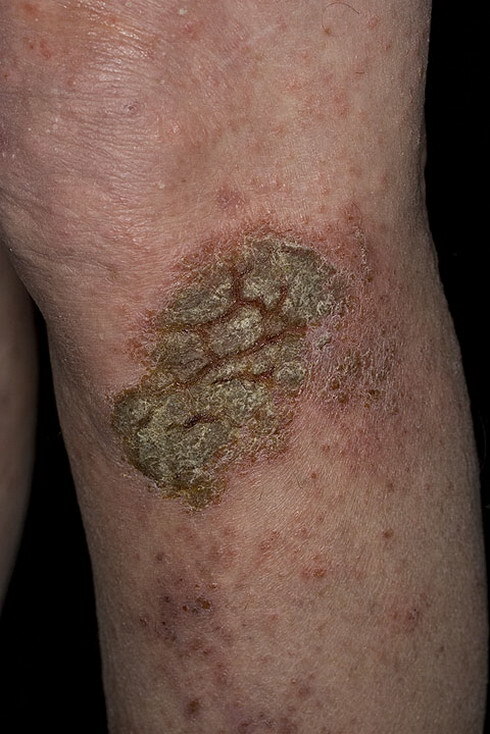 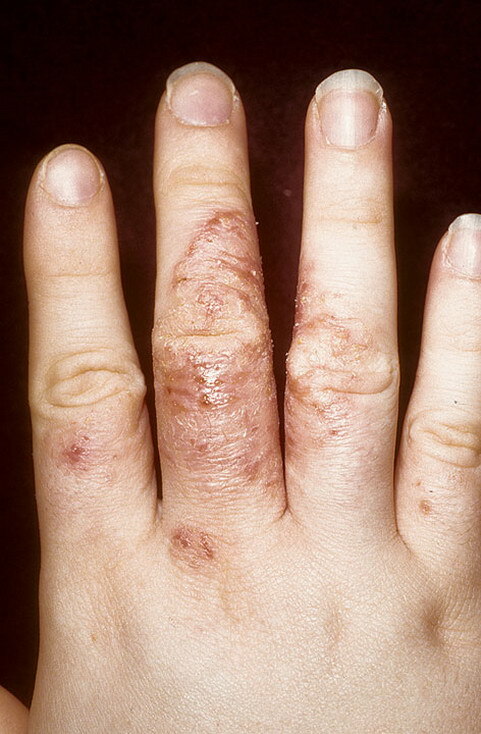 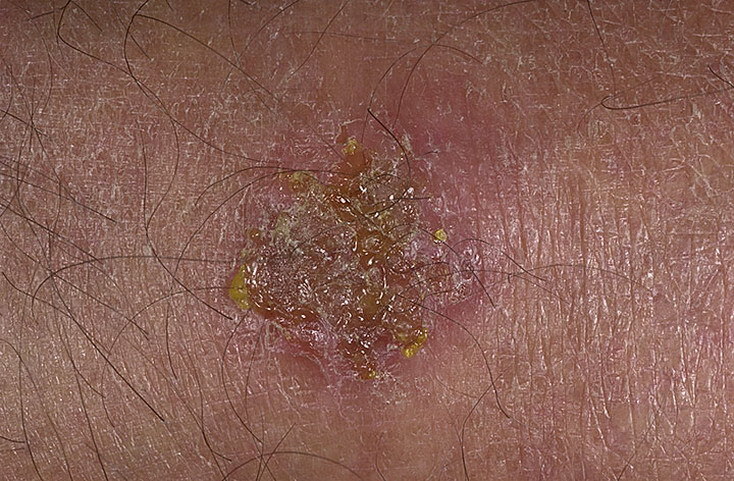 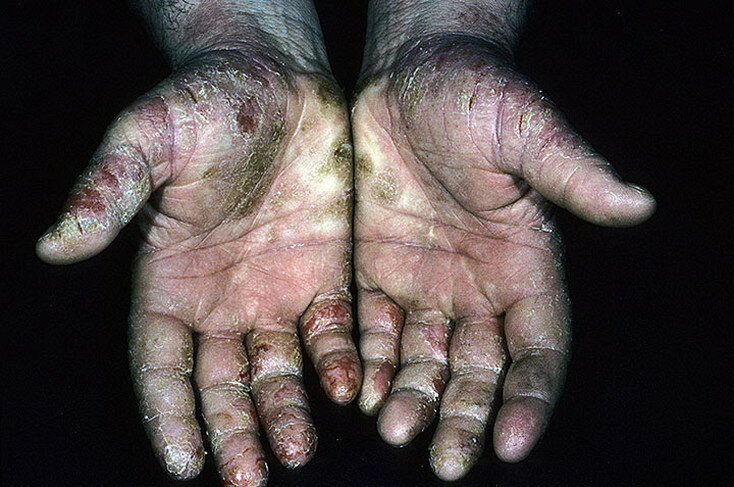 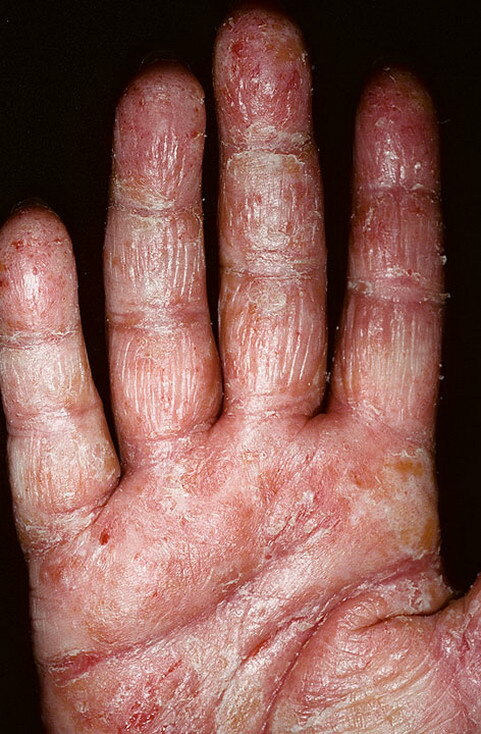 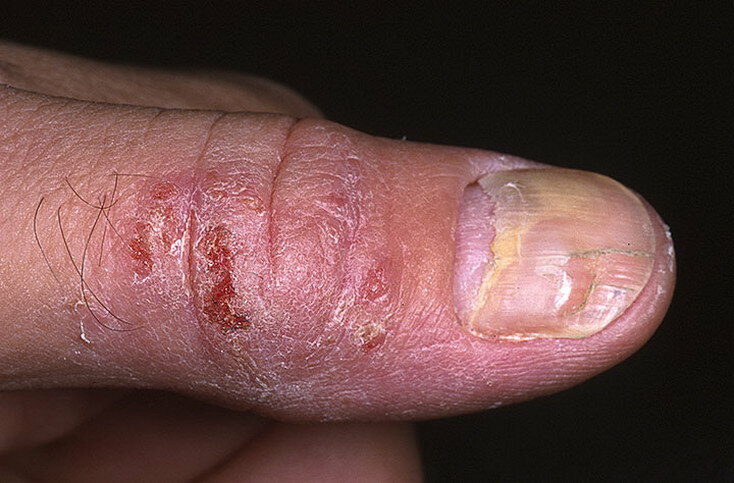 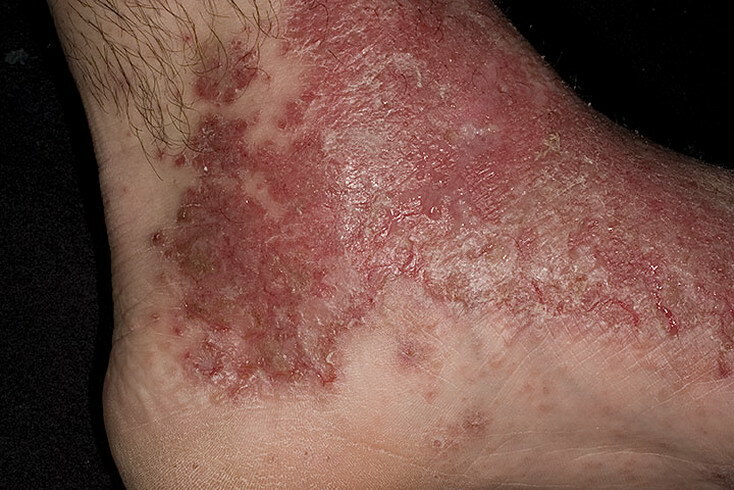 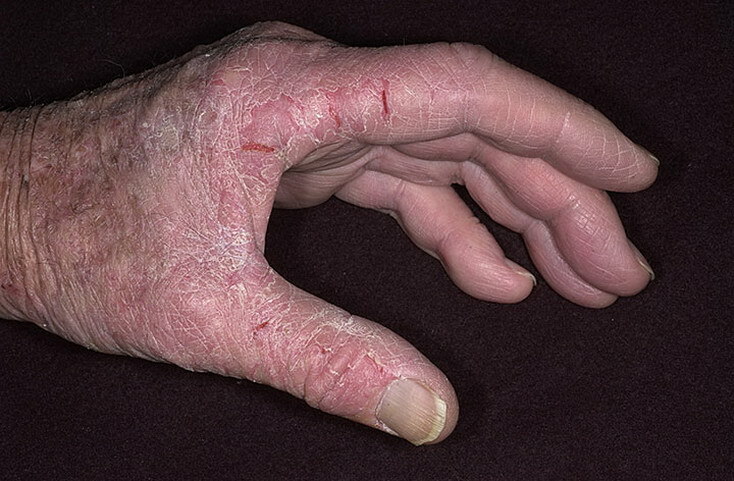 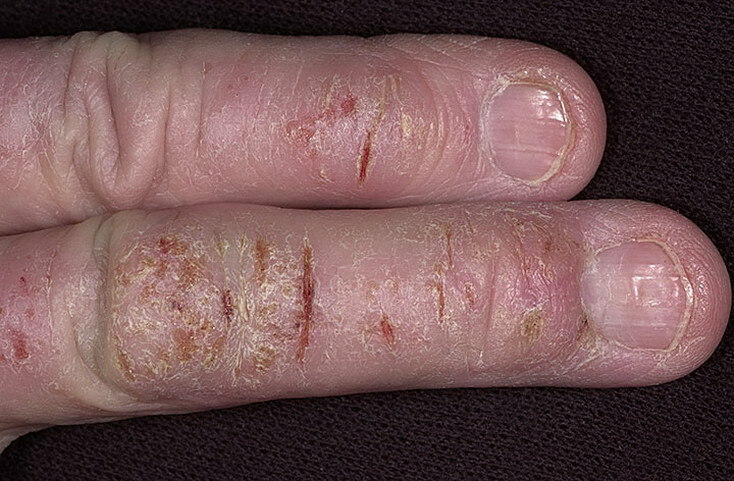 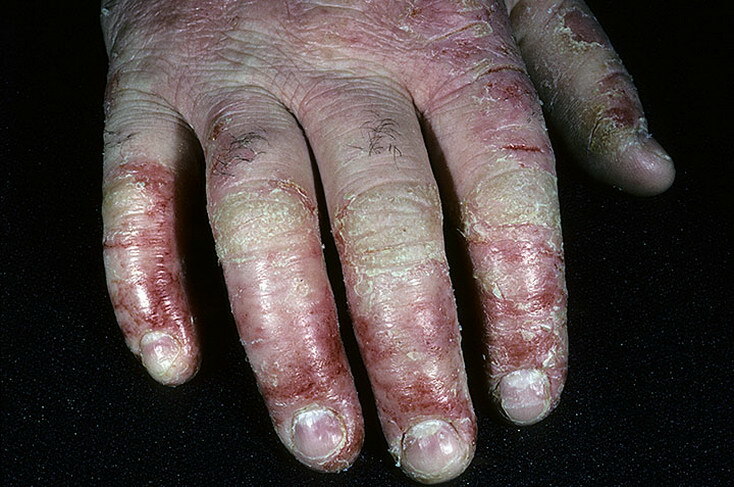 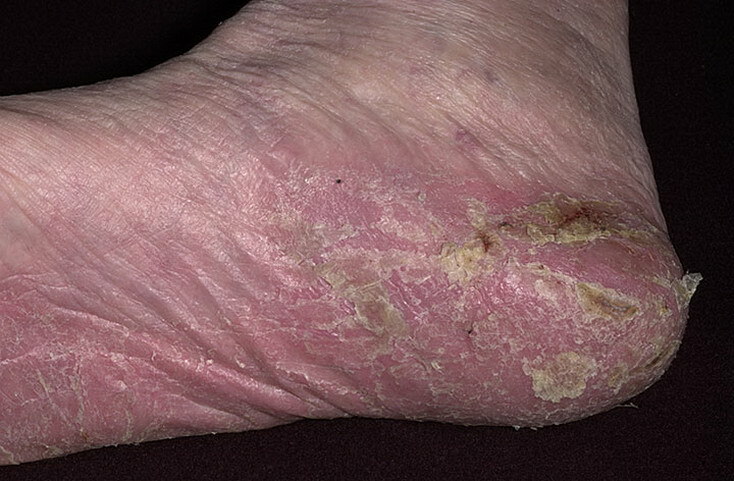 Small areas of weeping eczema from colonization can usually be treated at home, and will probably benefit from the tips in this article, however if you have large eczema areas that are severely covered with Staph A, then it’s important to check with your doctor to rule out any complications such as a Staph infection.